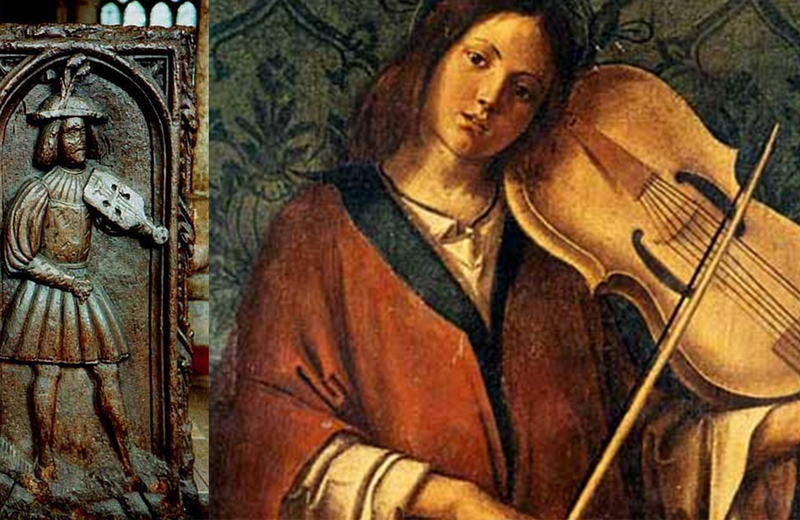 Fine instruments are beautiful works of craftsmanship, and very vulnerable to come what may. Being careful means obtaining an insurance policy. 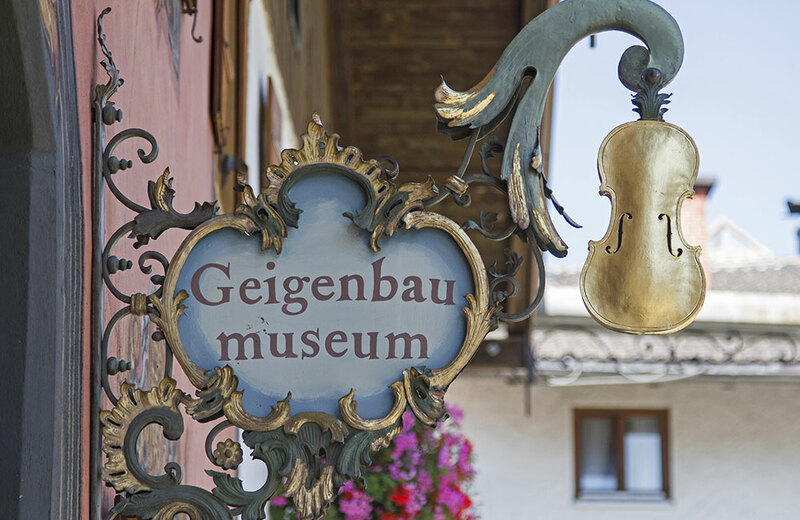 While not intrinsically great instruments, Jewish-owned violins, cellos and violas that somehow survived the concentration camps live on in concert. 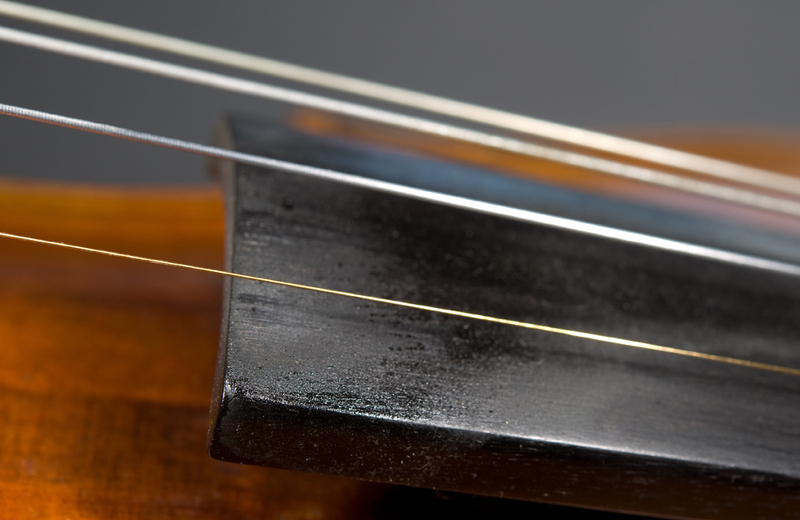 Violinists are split on if the shoulder rest helps or hurts their play. Medical professionals recommend it for people with sore necks and shoulders. 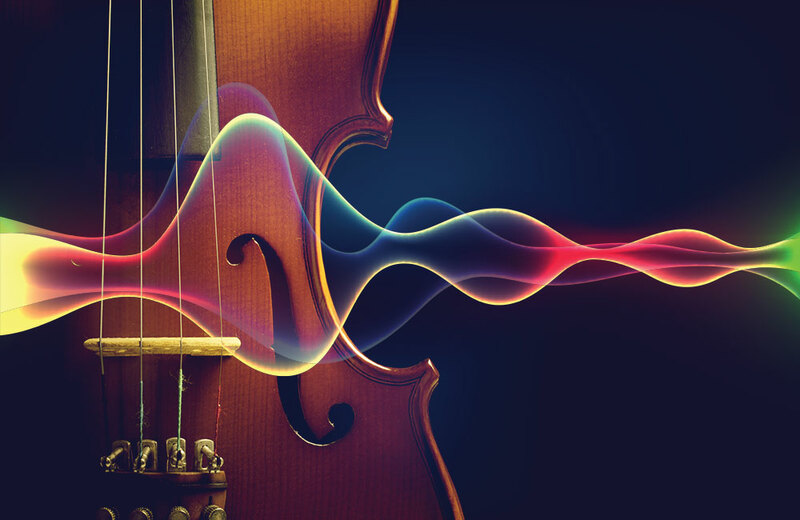 The physics of music matters, particularly when a cello, bass or violin produces an unintended sound. Understand how it works to fix it. 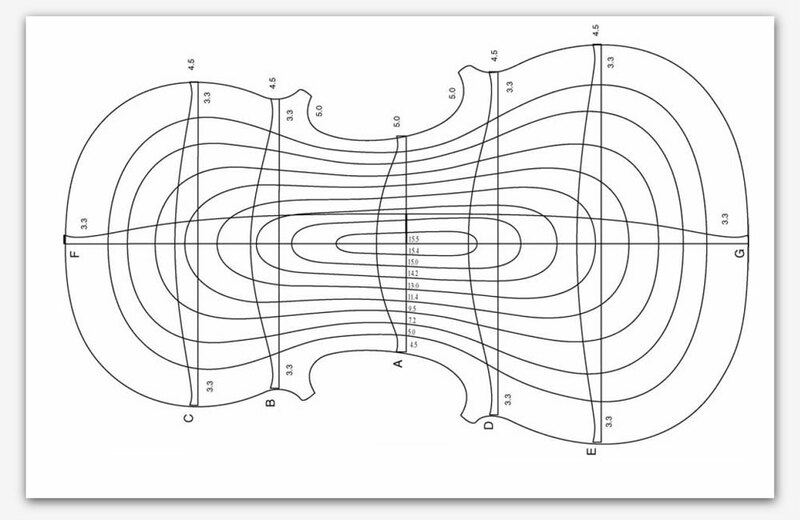 Math is intrinsic to music. 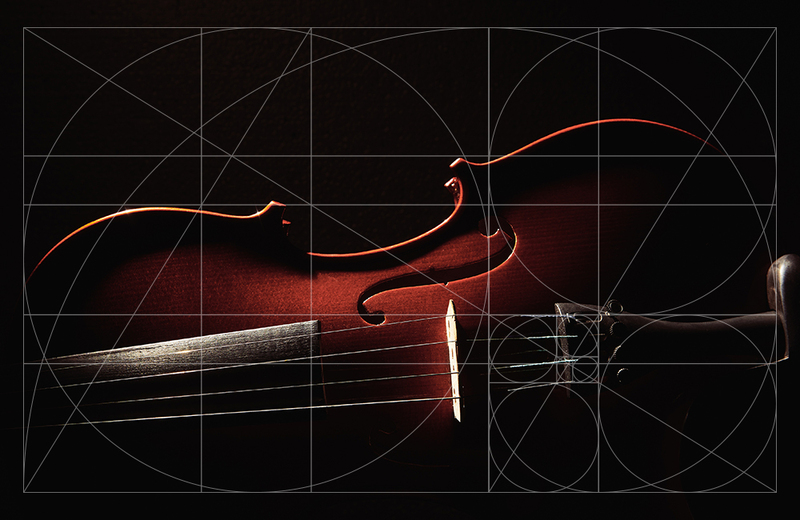 But what’s truly fascinating is how the designs of fine violins, flowers and huge galaxies connect to Fibonacci’s Golden Ratio. 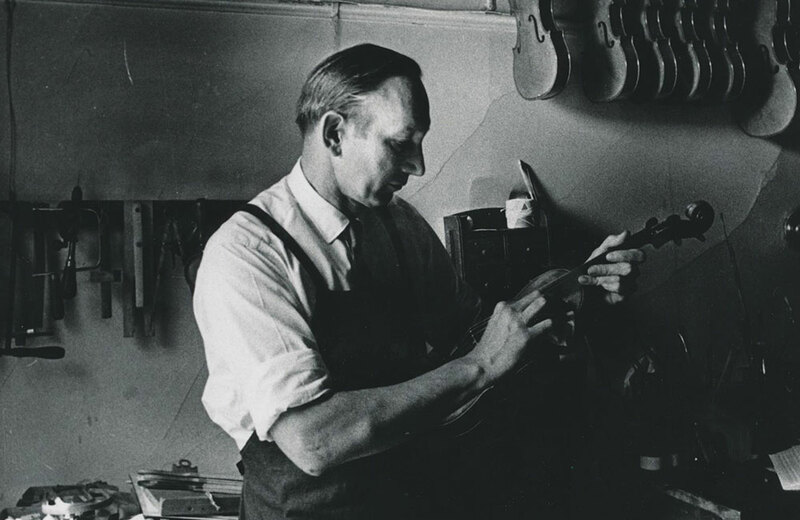 The legendary violinmaker didn’t limit his enterprise, producing many other types of stringed instruments. A few survive, are playable, and are highly valued. Synthetic bow hair is unthinkable to most violin players and makers. But given the delicacy of natural horsehair, the synthetic option has some appeal. Violins and other instruments are like children, needing protection from unkind elements. Extreme temperatures and humidity pose the biggest threats. 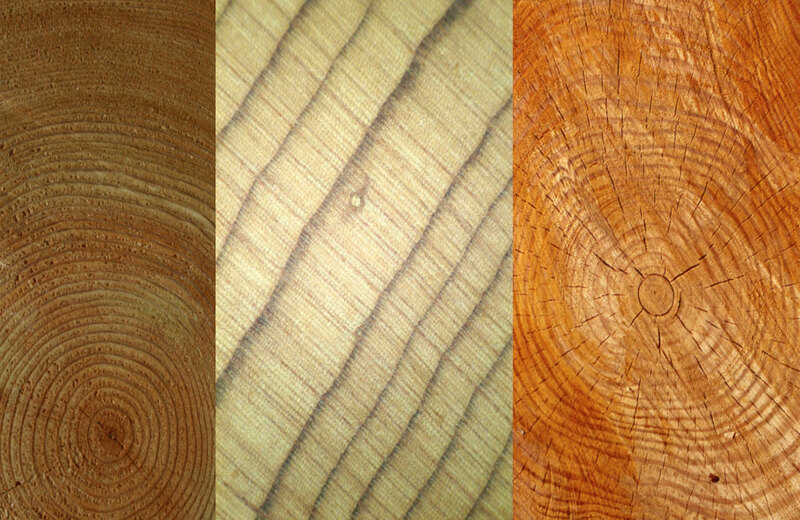 It starts with mature, old growth trees and then requires a long time of natural drying. 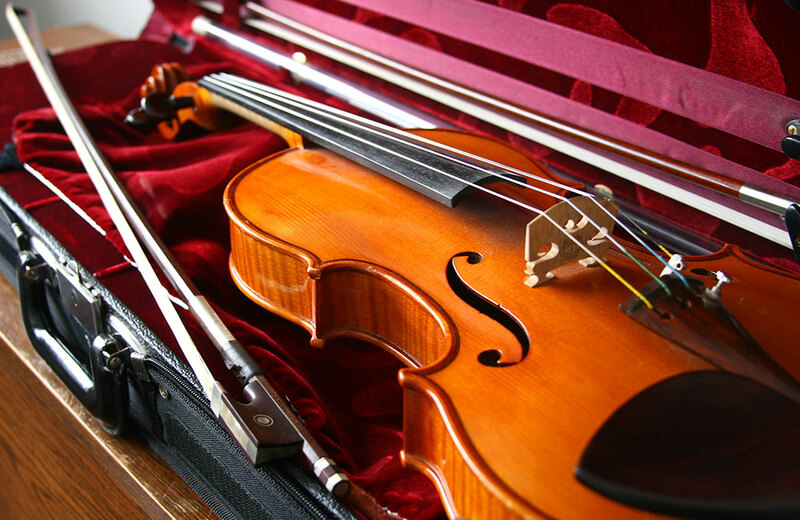 With stringed instruments such as violins, age is an advantage. 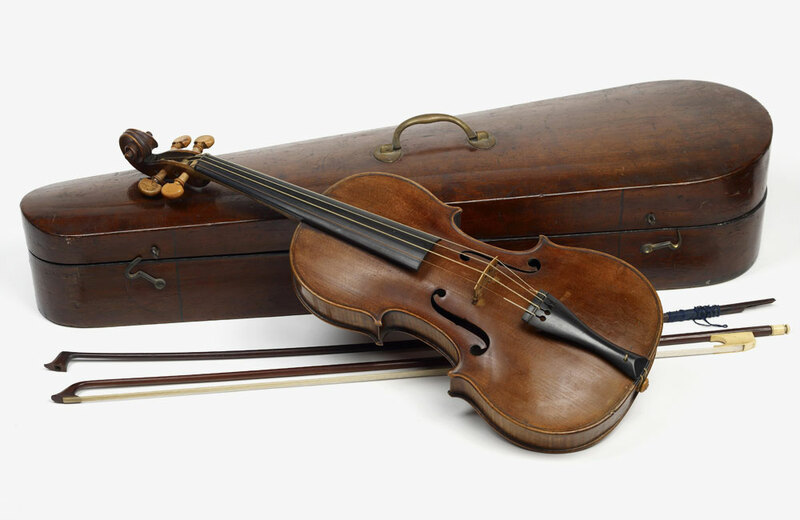 An especially knowledgeable violinmaker can identify the origin of a violin. 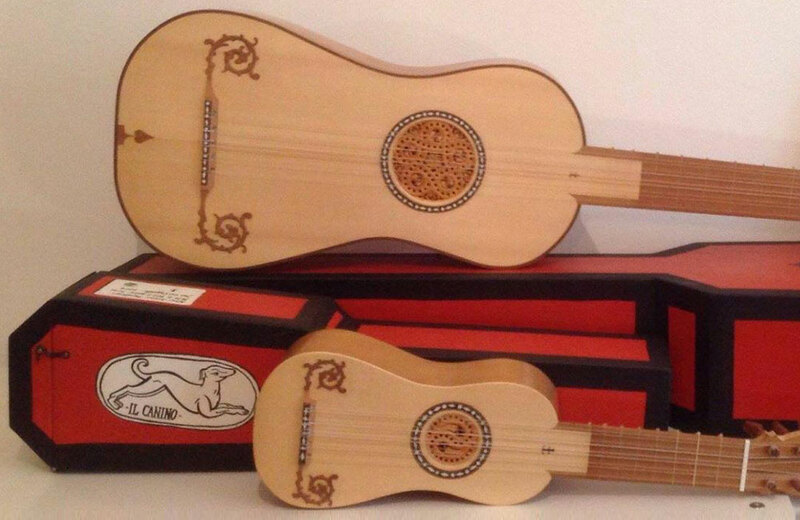 This goes beyond an appraisal – a certificate of authenticity applies to insuring a fine instrument. There are several items the stringed instrument musician should acquire early in his or her training. It enables better play from the start. The electric guitar didn’t kill the acoustic ones, and neither have electric violins diminished acoustic violins. They broaden artistic range. Music study can lead to a rewarding career. But simply learning how to play a violin (or tuba or oboe) can positively affect development in many ways. The A note changed over the centuries due to concert hall architecture, instrument innovations, and the globalization of Western music. 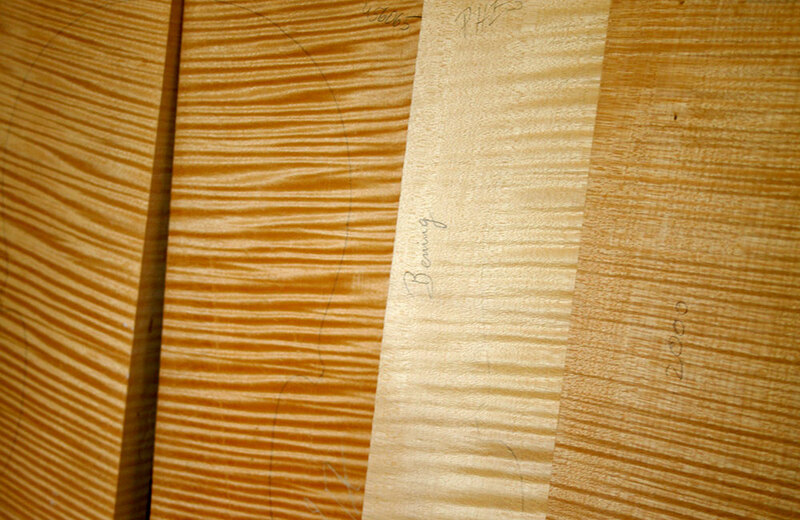 Spruce is a vital raw component of violins. 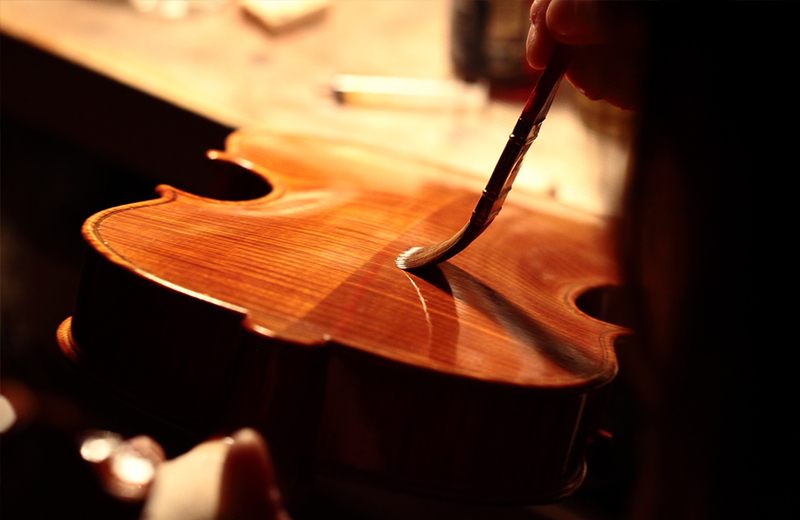 A product of nature, there is great variability that skilled violinmakers understand how to control. 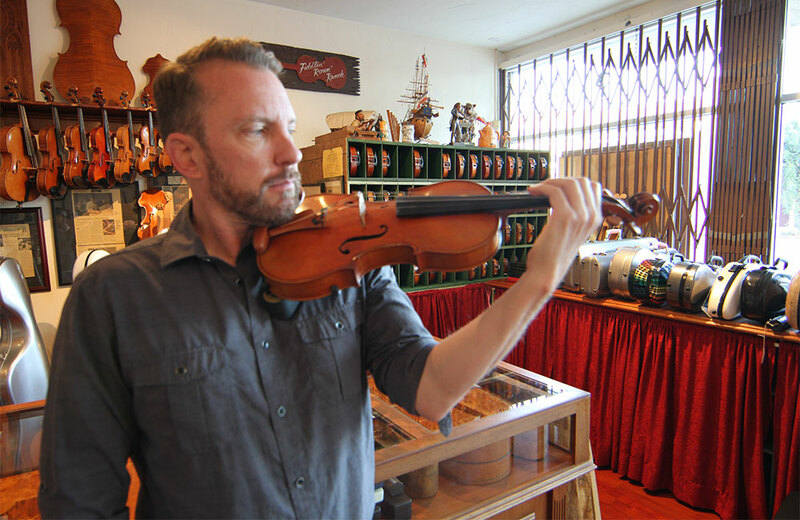 Ole Kanestrom A tiny fishing village on Washington’s Puget Sound is the place where fine stringed instruments and instrumentalists find their essential bow. Photo courtesy of Niam Chauhan They don’t make the music but ensure the instrument gets to its audiences. 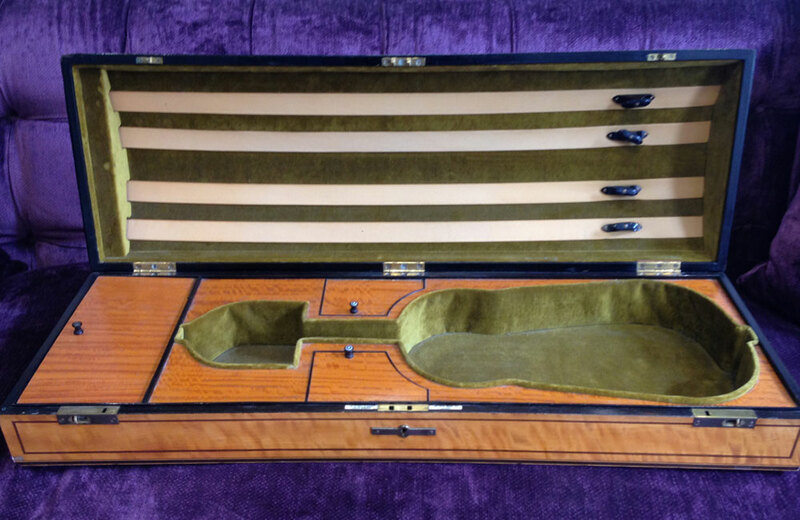 This London violinmaker created some of the most beautiful cases ever made. 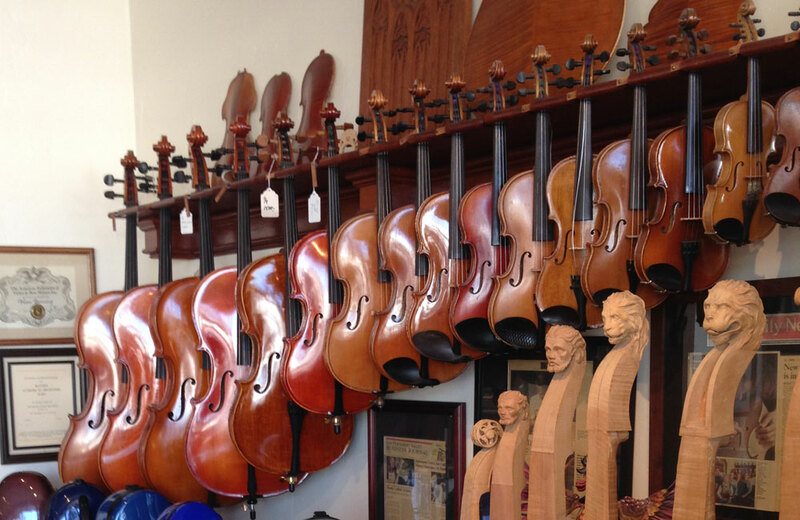 Very few fine stringed instrument shops master so much of what musicians need to produce fine music – and what collectors need to establish value. 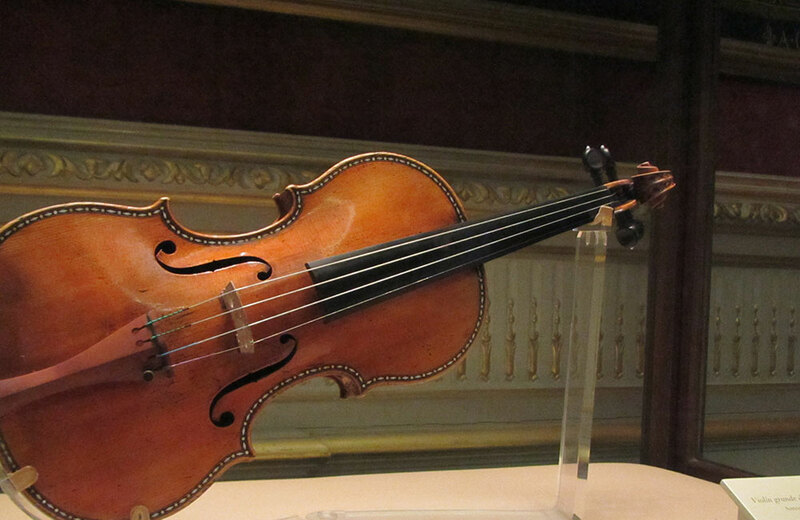 The 17th and 18th centuries produced the Stradivariuses. 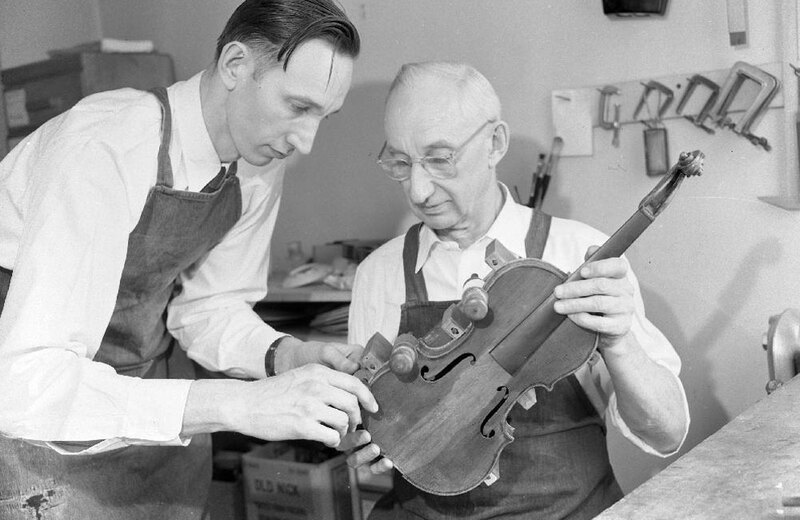 But the 20th and 21st centuries had the Chicago violinmaker Carl Fredrick Becker. 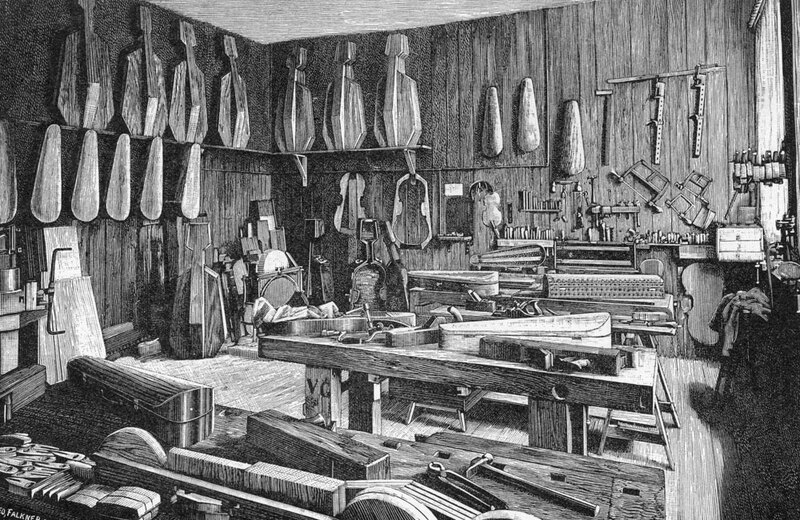 Luthiers practice a craft that derives from the old schools of Italy, Germany and France, but several schools for stringed instrument making are in the US. 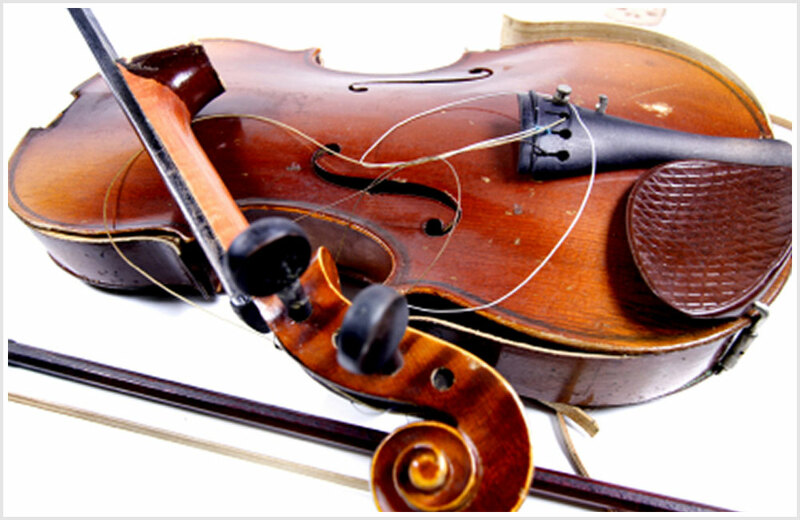 Violinmakers do not typically include parts of expired animals in their fine instruments. 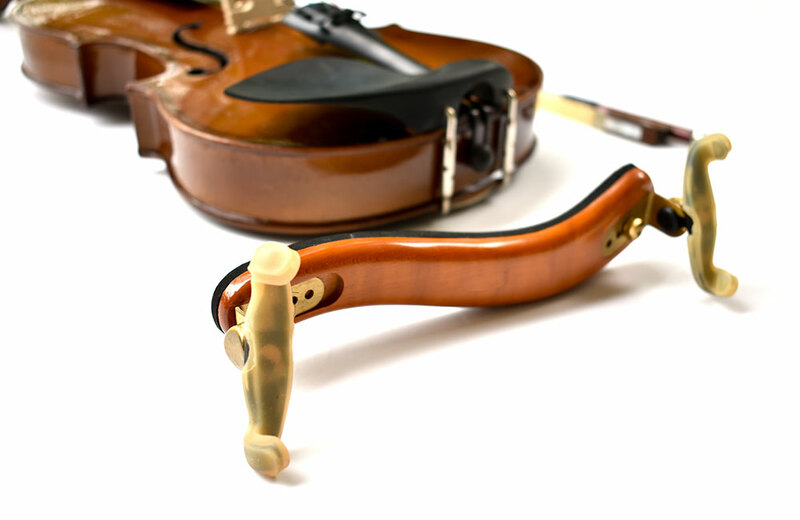 But nonetheless fiddlers add snake rattles for a variety of reasons. 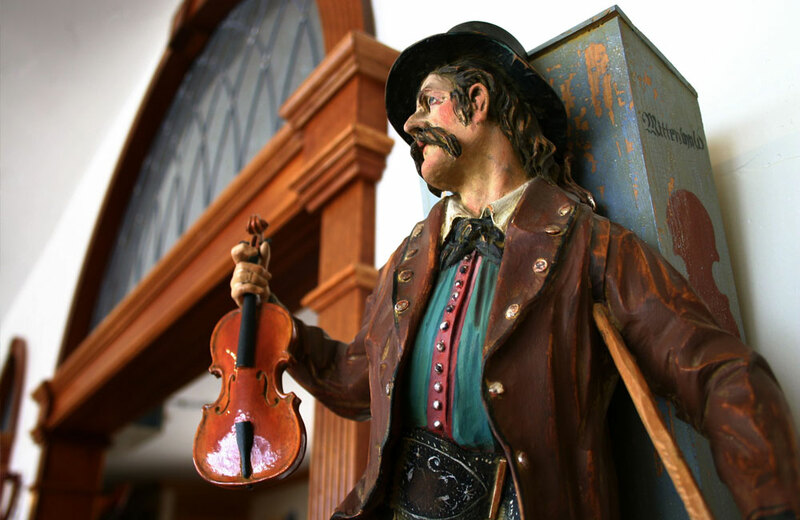 It’s a tiny town with a big claim in fine stringed instruments. 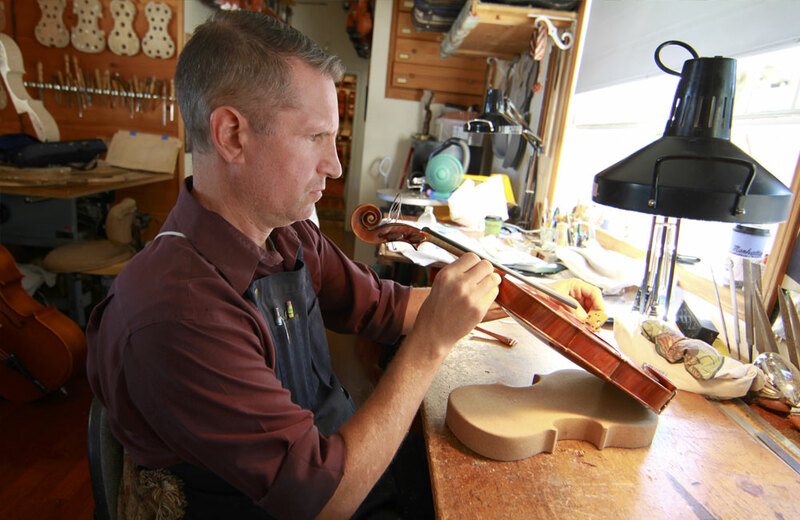 The Klotz family started it a long time ago and today’s luthiers still learn their craft there. 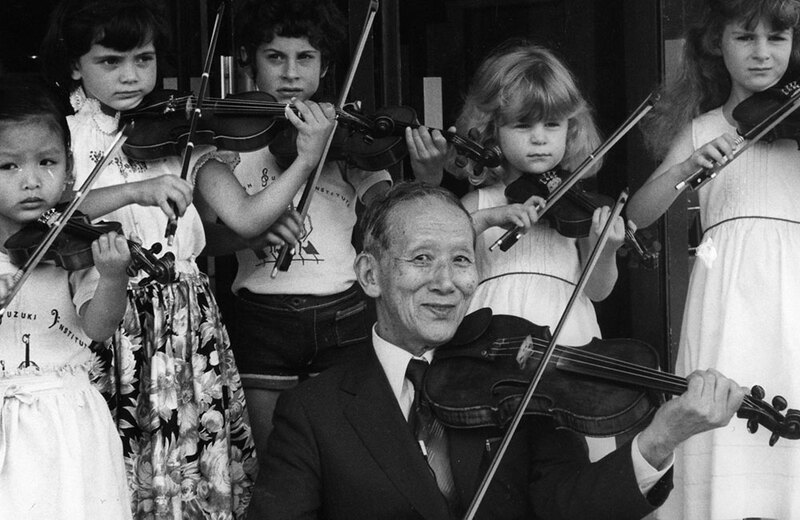 An accomplished Japanese violinist studying in Germany was frustrated that children could learn the language faster than adults. But it birthed an idea. Children learn to speak before they are able to read. 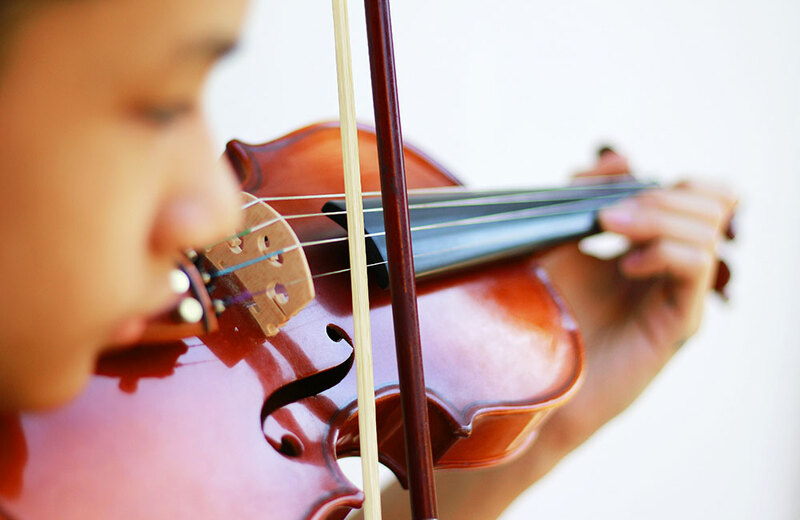 So should beginner violinists learn how to create music before they are able to read music? 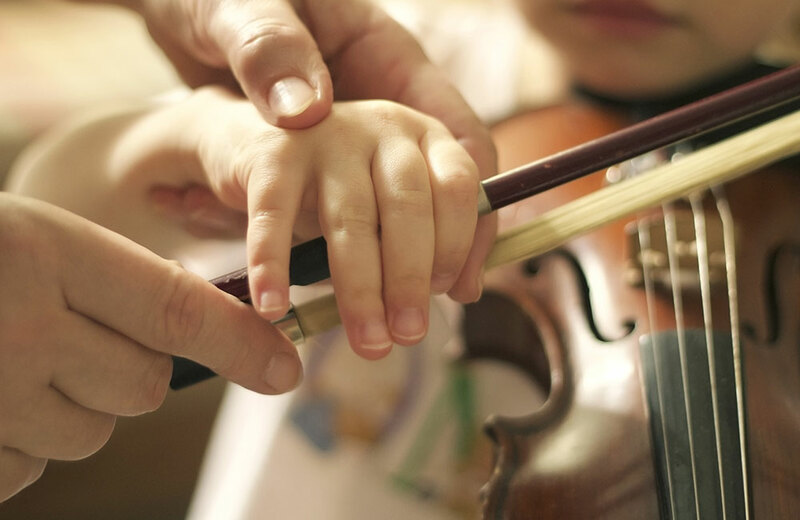 Whether looking for someone to teach violin, cello or a flugelhorn, the teacher is vitally important to how well your child learns. Here are search tips. 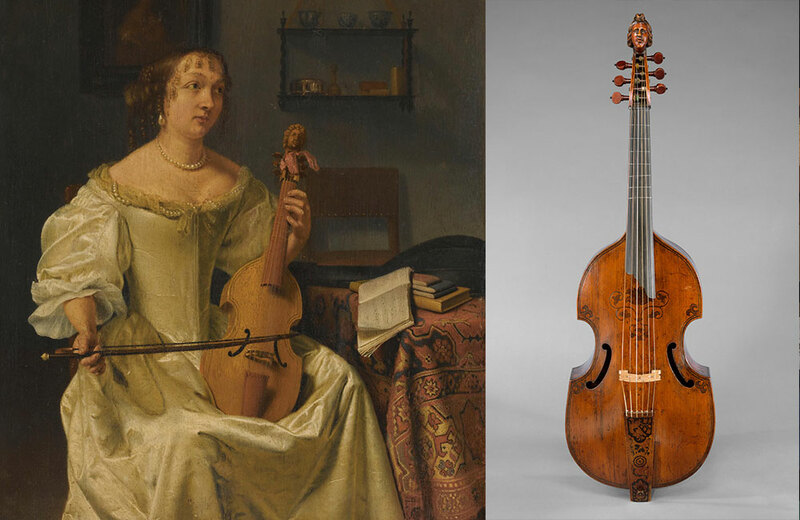 Not one instrument but a family, this cousin of the violin and cello has a rich history in early music – and a future in contemporary music as well. 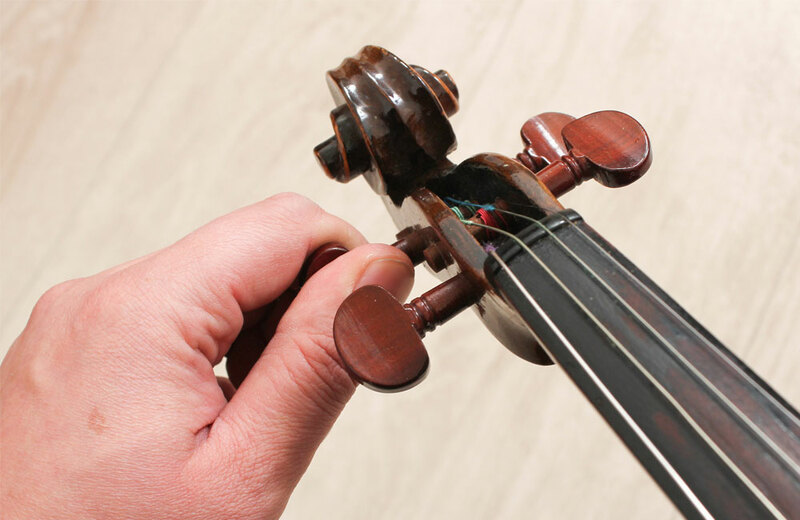 All stringed instrument players know the importance of a good bow. 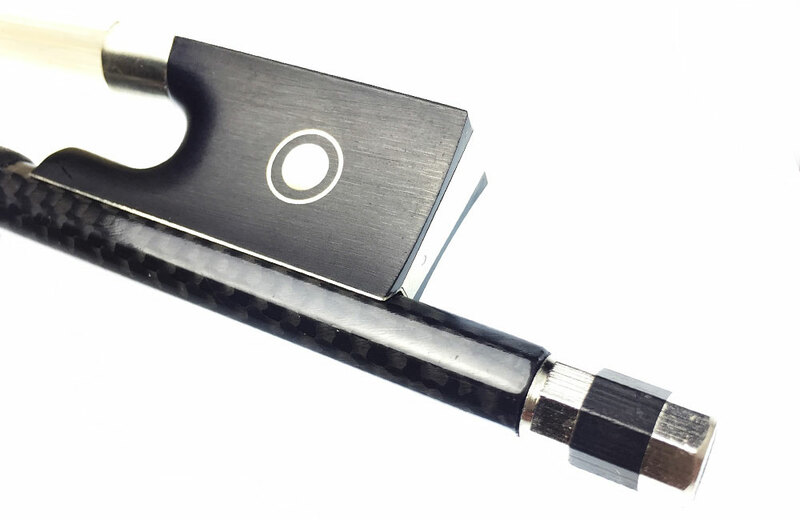 But how do carbon fiber bows stand up to Pernambuco, Brazilwood, fiberglass and composites? 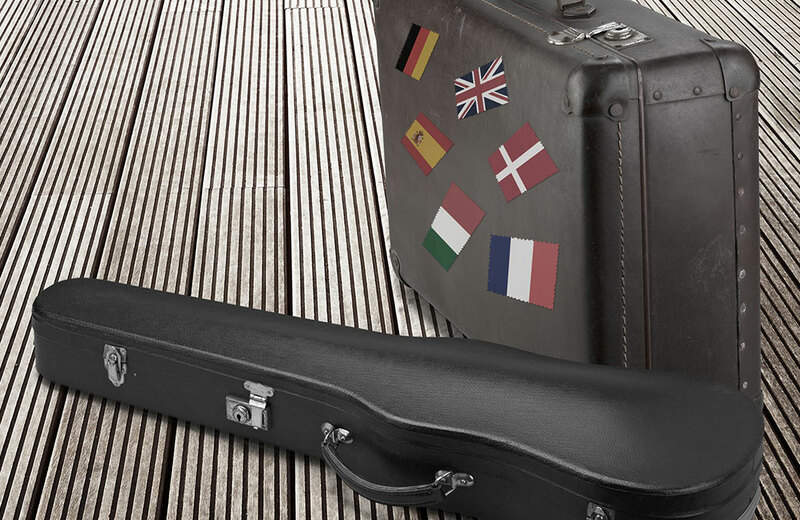 Violinists, violists and cellists know the score: It can be hard to fly with stringed instruments. Savvy musicians know the top tips of air travel. 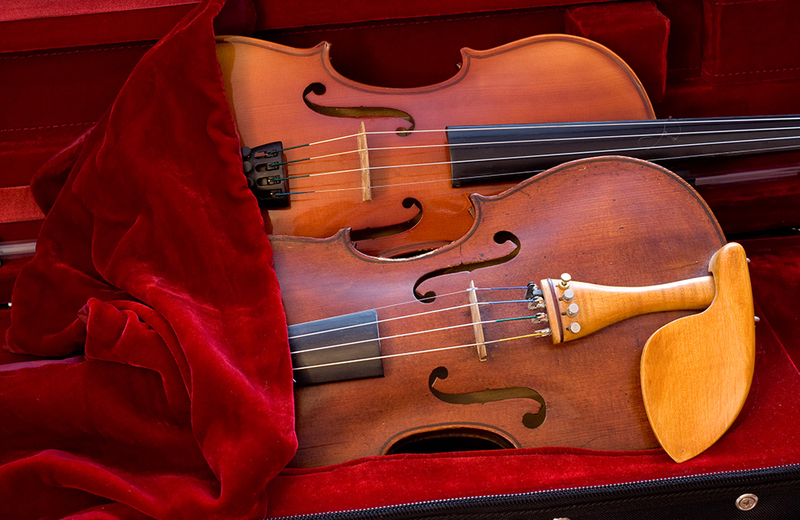 What is a “Student Violin Outfit” and What Are Its Benefits? 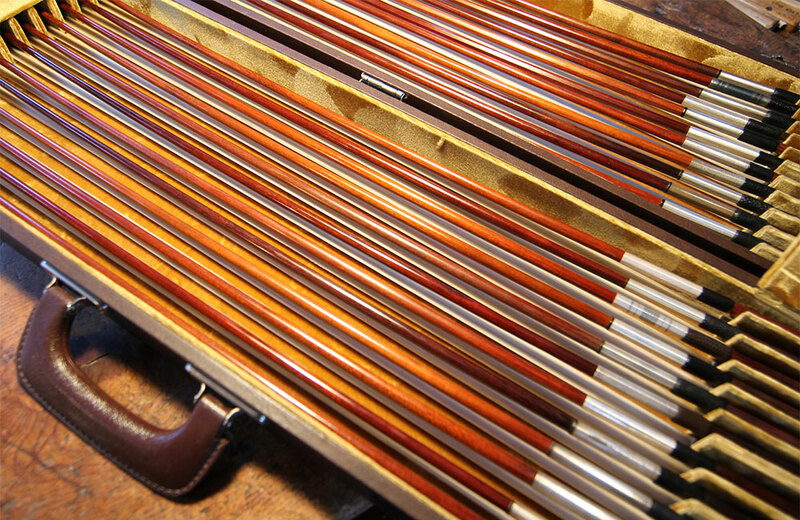 “Outfit” is another word for “set,” as in how the three primary components (violin, bow, and case) are sold in a package. Sometimes it’s a better buy. 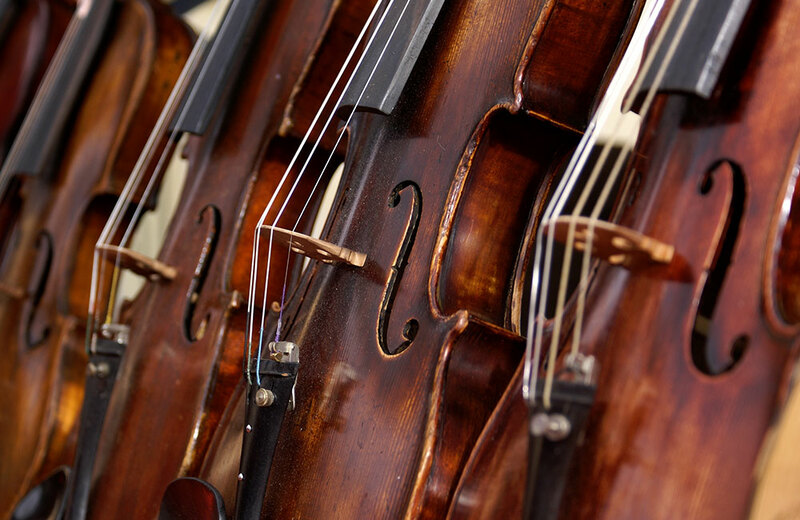 Studying a stringed instrument like a violin, viola or cello can be pricey. The decision to rent or buy largely depends on the student’s age and commitment. 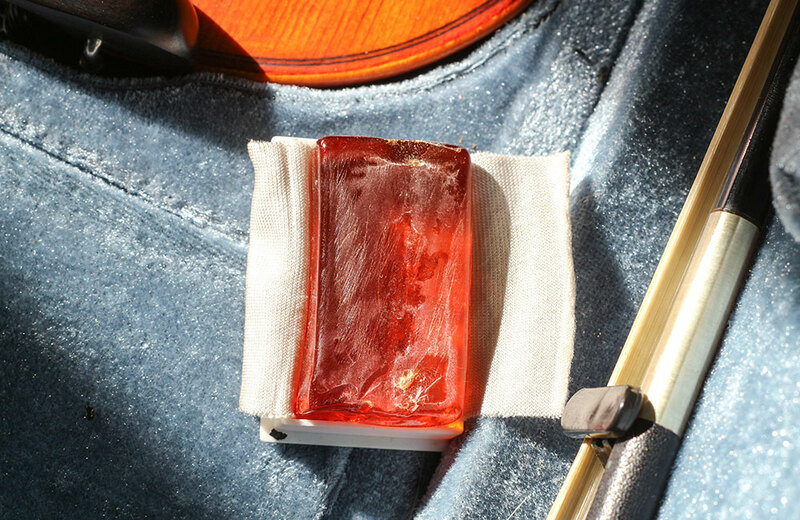 The friction created by rosin is essential for playing all bowed stringed instruments such as violins. But the choices of types and brands are varied and vast. Being “off pitch” is more often a metaphor for poor communications. But with violins, oboes, and concertmasters, it hits on the science of music. 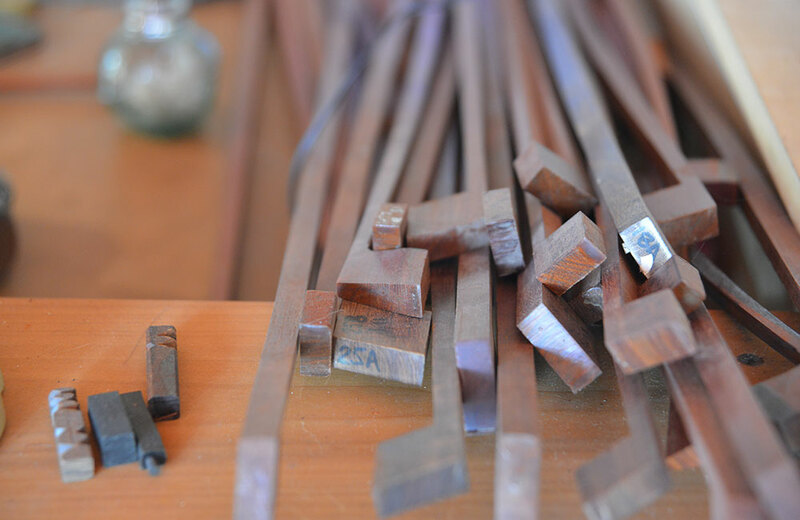 Legendary violins are made of Bosnian wood grown hundreds of years ago. 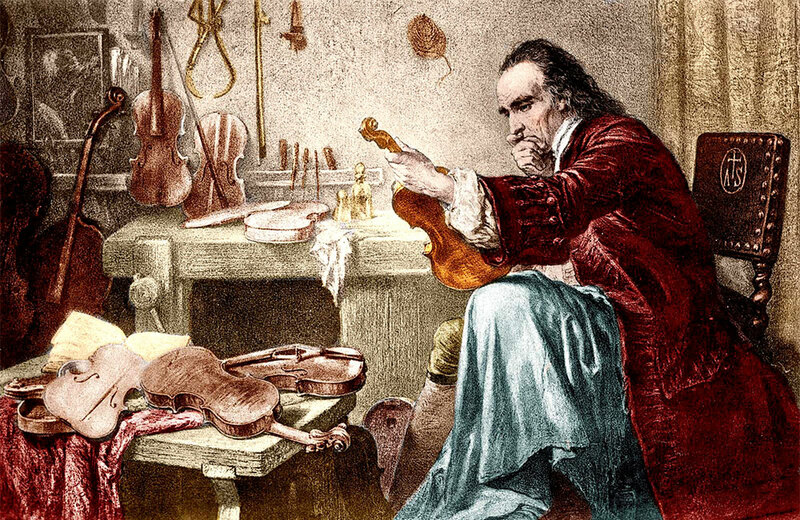 But can modern luthiers replicate what Stradivari had available to him? The supporting role perception of the violinist’s bow underestimates its importance. But a certain 18th century Frenchman changed everything. 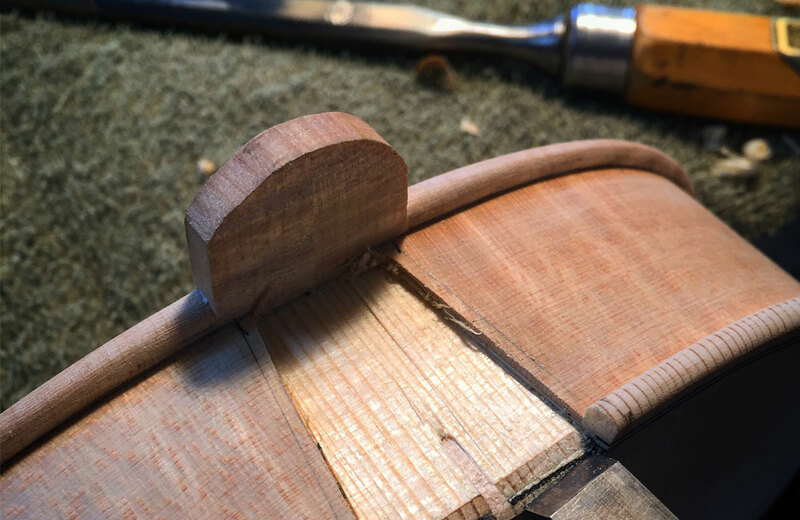 It's a task easily taken for granted by stringed instrument enthusiasts, but violinmakers know there's much at stake when merging the neck with the mortise. 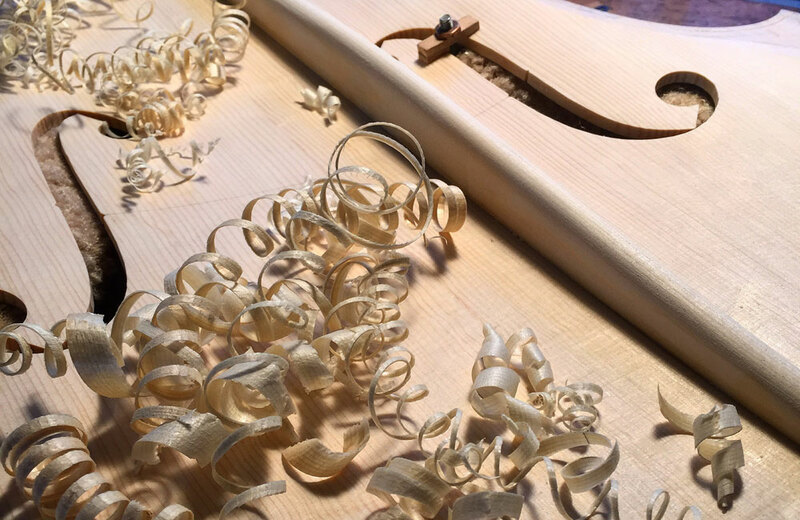 Every violin, viola and cello has a scroll whose only real function is to be beautiful and to showcase the skill of the maker. 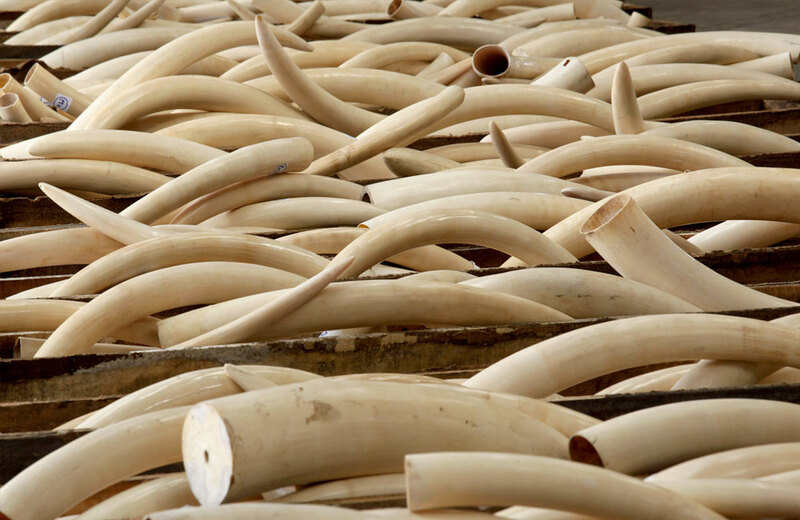 Ivory is a gorgeous and durable material that enhance stringed instruments and their bows, but as musicians have learned, traveling with ivory can be tricky business. 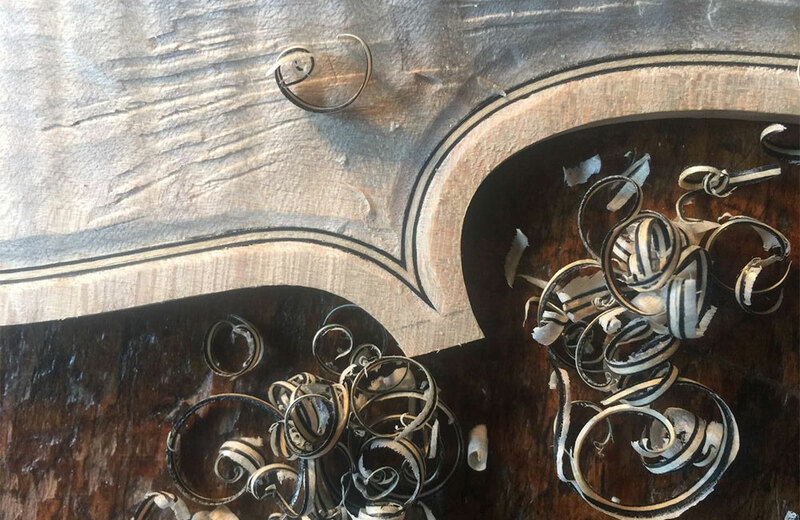 Violinmakers and archetiers have utilized ivory on fine stringed instruments and bows for centuries because ivory is a strong and lovely material. 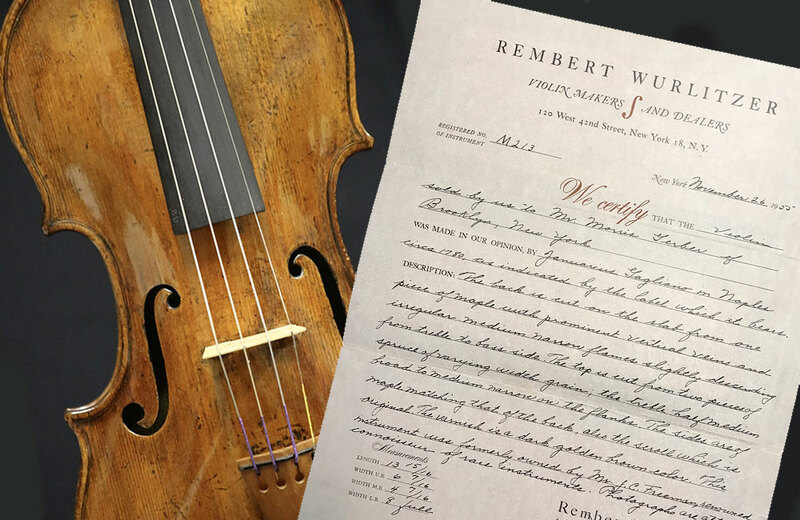 If a fine, older violin is missing a label, analyzing the patterns of the wood makes it possible to determine the age and quality of the wood and the instrument. Maintaining your instrument is more than a good idea; it's vital. 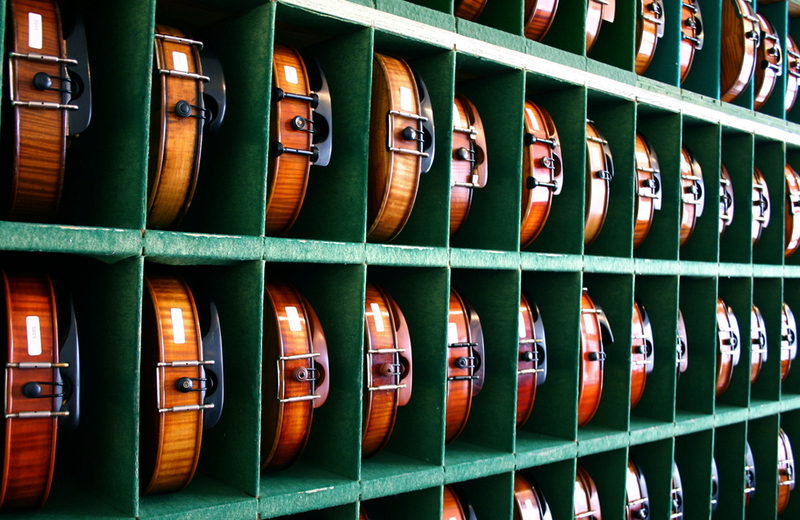 Professional violin shops can help keep your instrument tuned up and playable. 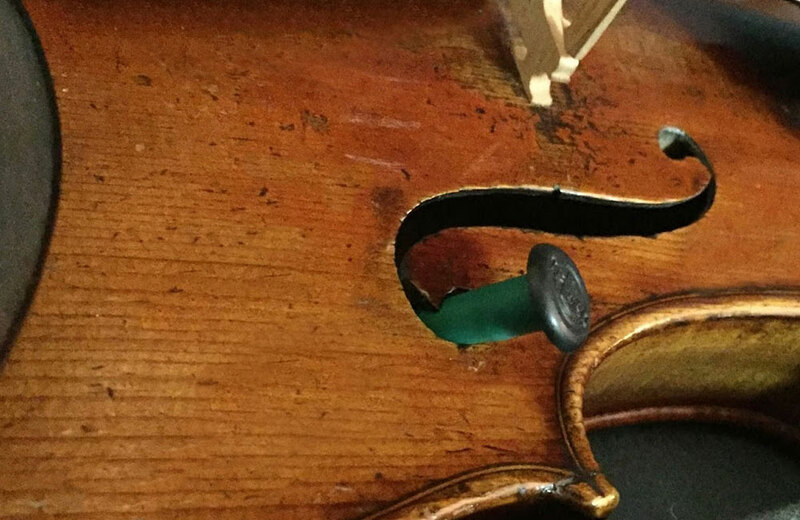 It is possible to cause a lot of damage to a fine instrument. 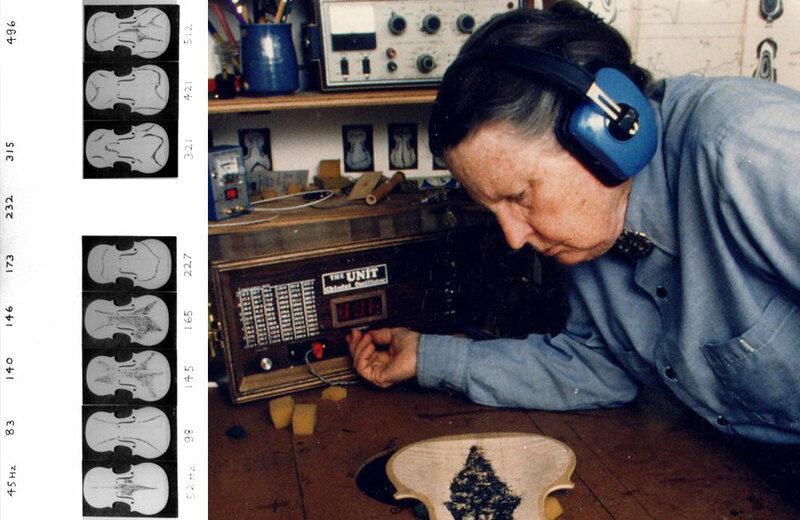 Fortunately, modern luthiers have taken the craft of repairing instruments further than before. 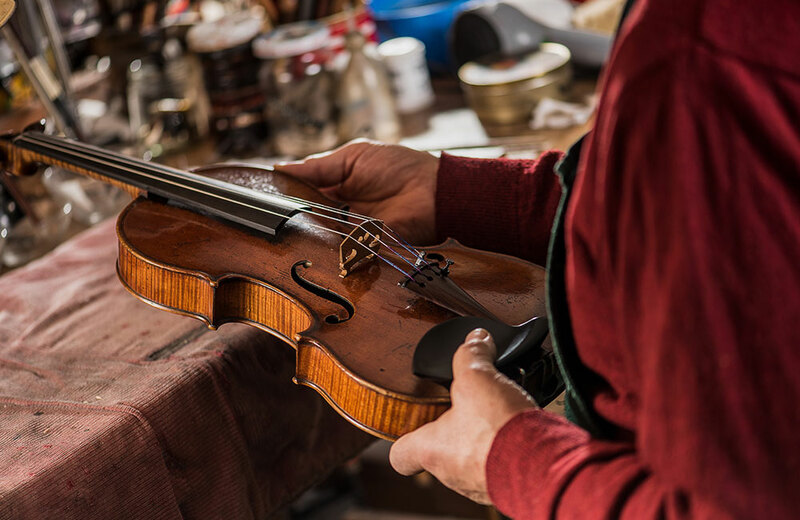 A violinmaker's tools are specialized to violinmaking, often individualized to the maker and often handed down over generations. 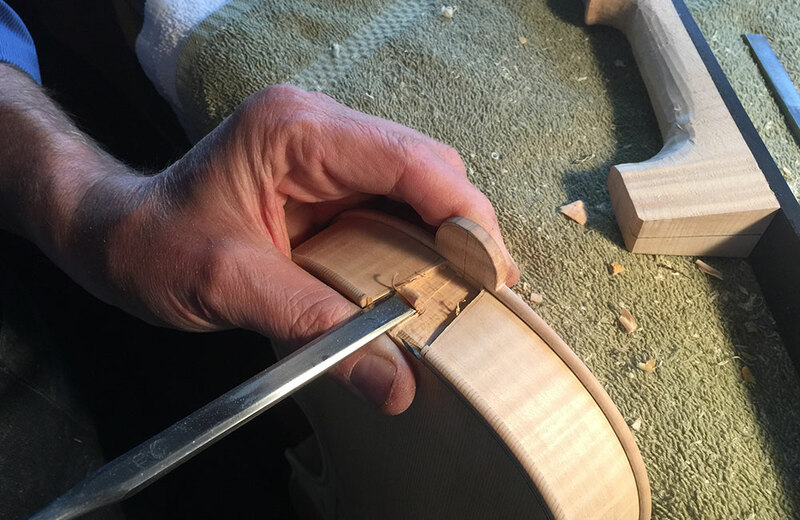 Modern luthiers have advanced the craft of restoring violins to their prestine condition, but that doesn't mean expectations shouldn't be tempered. Is Varnish Important to a Violin's Sound? 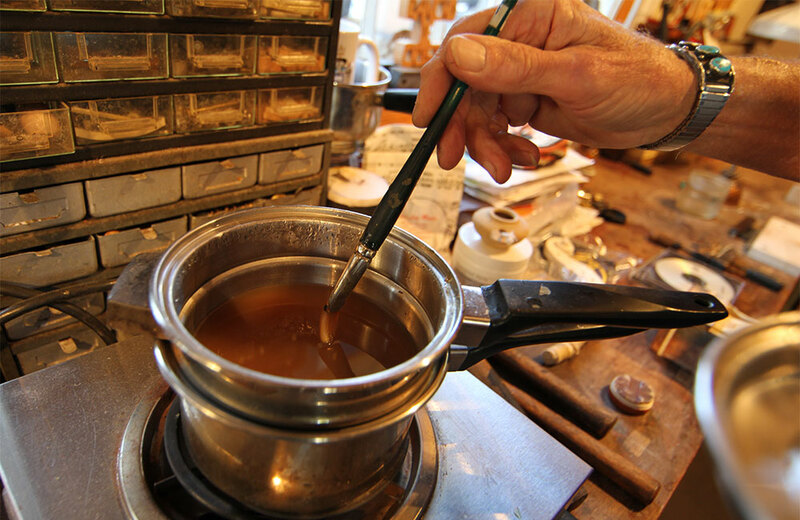 The varnish a violinmaker uses on fine violins, violas and cellos is usually proprietary, and has much to do with the sound and character of the instrument. As any string player, from the beginner to the professional, knows, all music-making begins with an in-tune instrument. 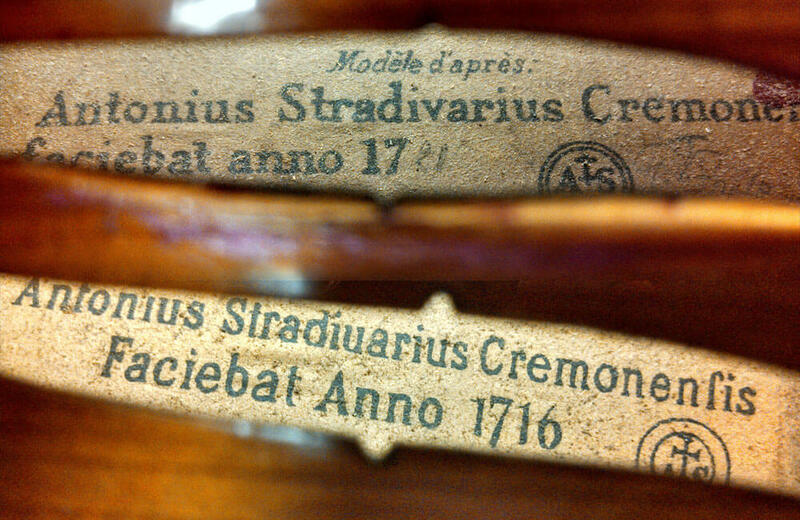 A Stradivarius label can be found in new and old violins, violas and cellos that are not "Strads", but typically, the label isn't intended to fool anyone. 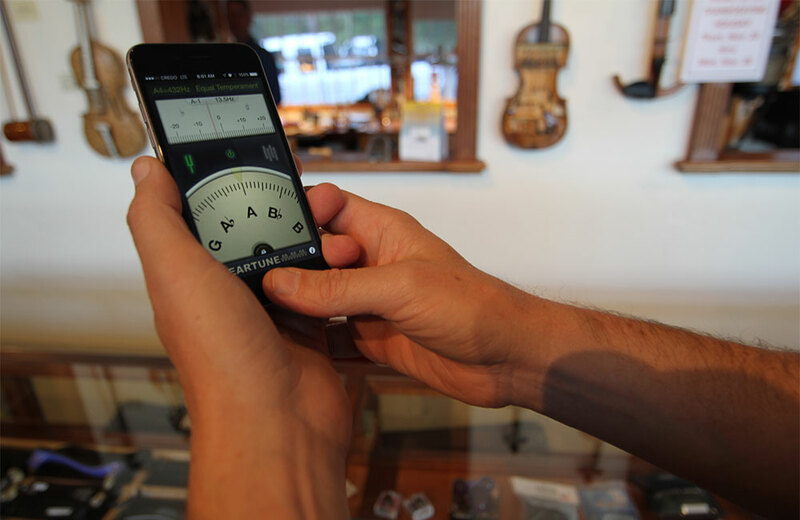 From metronomes to electronic tuners and more, smart phones provide vital and convenient tools for violinists, violists and cellists. 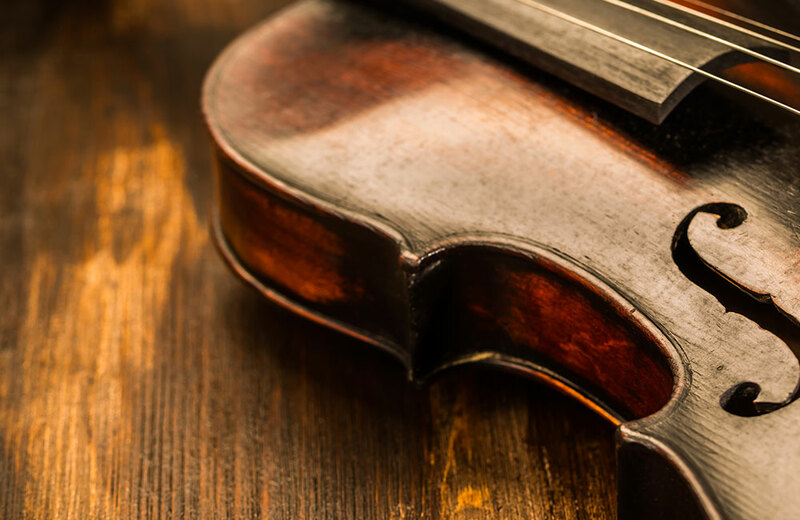 Even in the age of Ebay, consigining your violin, viola or cello at a trusted local violin shop, with their large client base, remains the best decision. 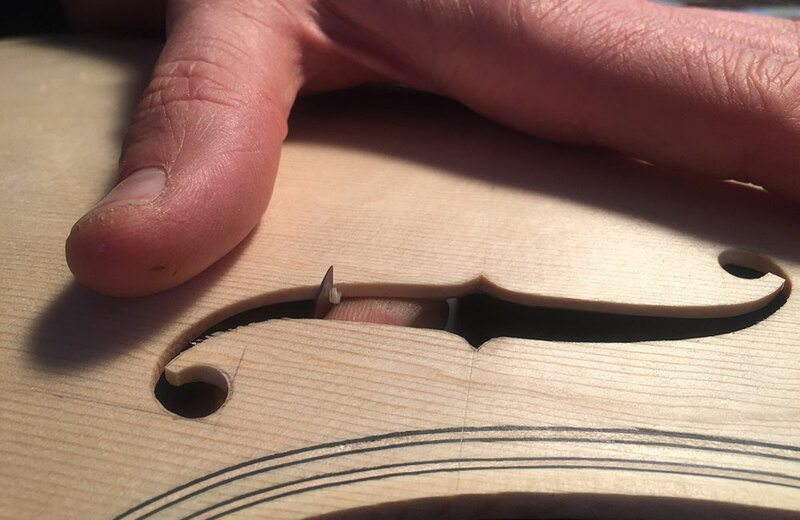 Purflings on violins, violas and cellos are entirely decorative in nature and offer the violinmaker a chance to show off his steady hand and skill as a craftsman. 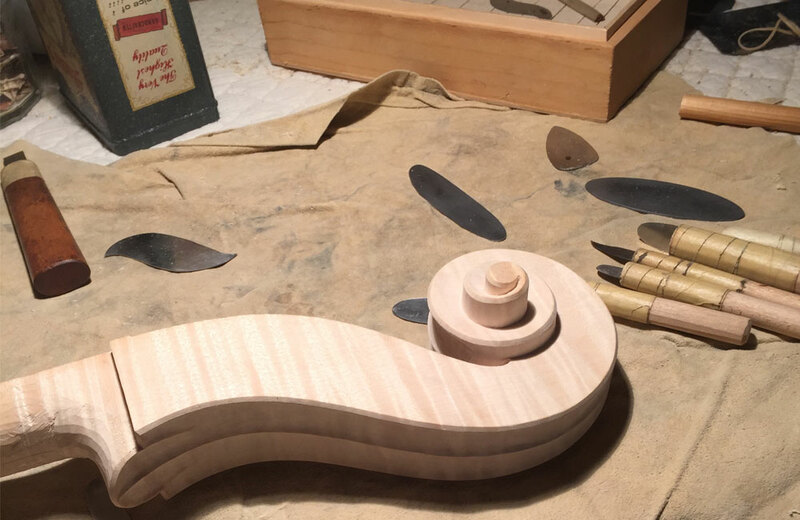 Bending wood to shape the ribs of violins, violas and cellos is one of the most important - and complex - tasks of making an instrument. 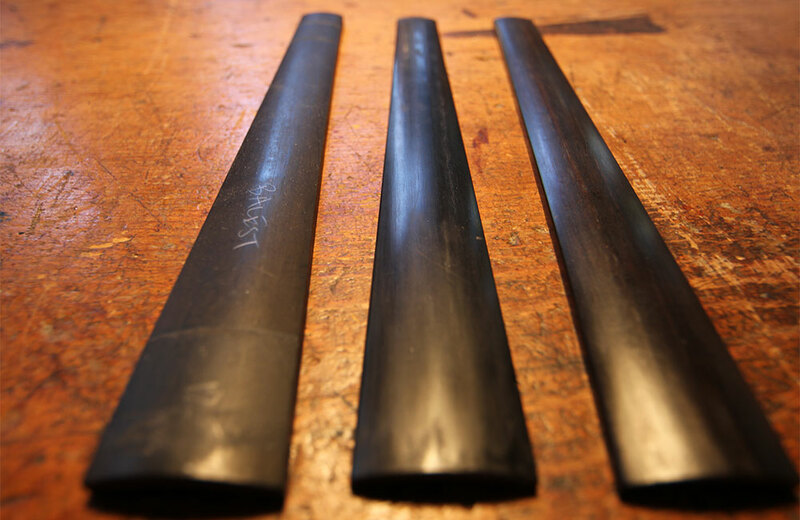 The “ribs” are the pieces of wood that make up the sides of violins, violas and cellos, between the outer edges of the top and bottom plates and enclosing the box of the instrument body. The bass bar on stringed instruments isn't just vital to the instrument's voice. It is a remarkable feat of sound engineering conceived by the old master makers. 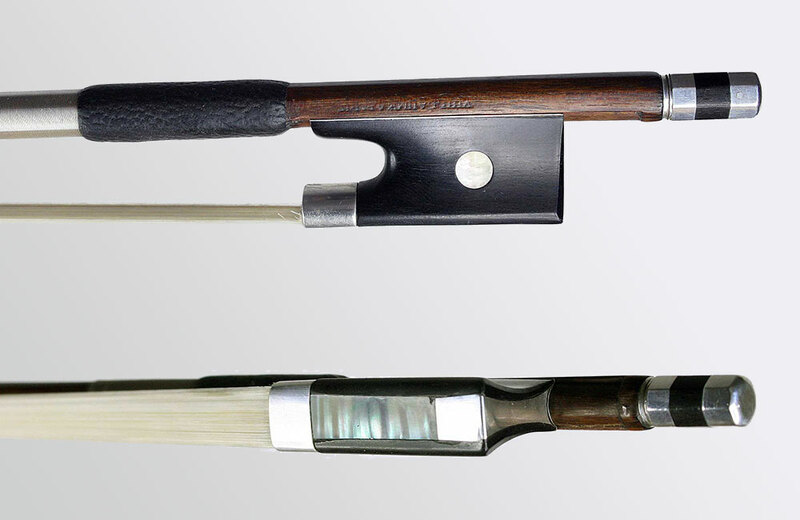 Violin, viola and cello bows come in different lengths, weights and materials depending on the instrument, the playing level and what the player is trying to accomplish. Playing a violin or viola correctly requires perfect posture and positioning of the instrument in the player's hands and against the body. 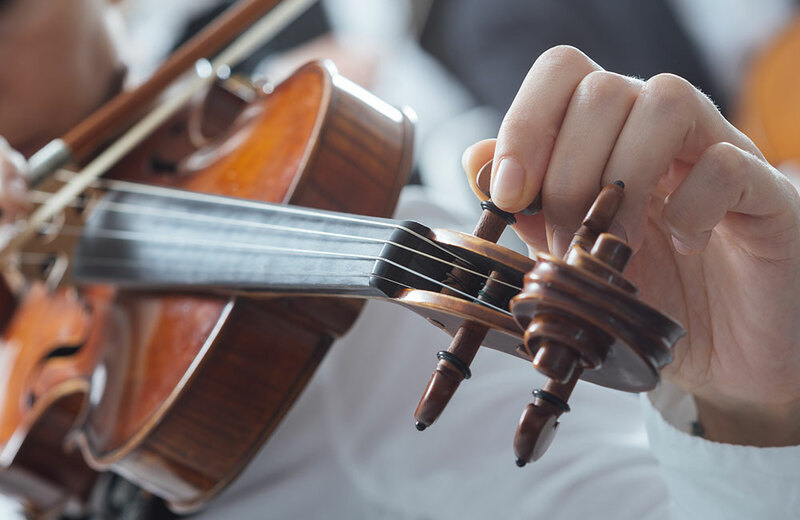 The difference between a "violin" and a "fiddle" has less to do with physical characteristics and much to do with how the instrument is played as well as the style of music performed. 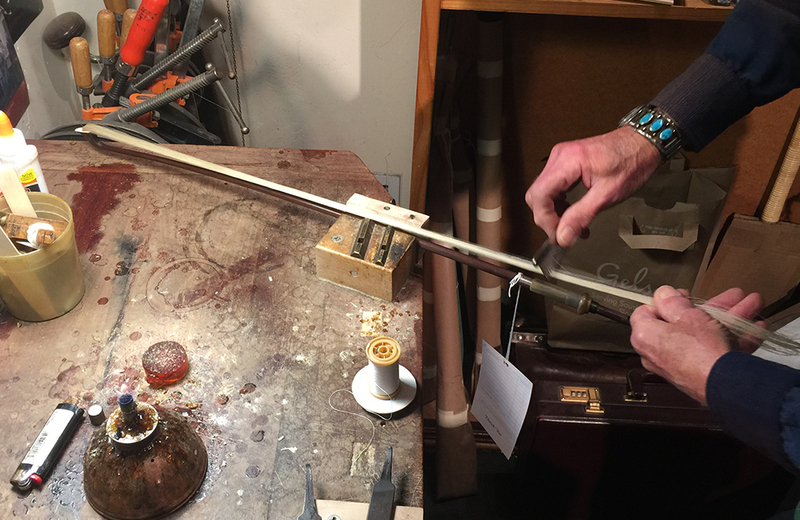 A sound post is a small but important part of a stringed instrument, tasked with many vital functions. 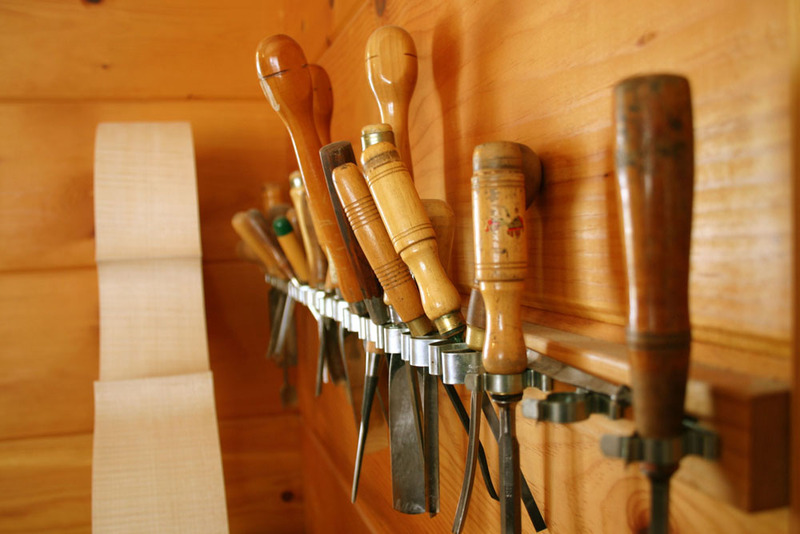 As such, it often requires repositining from the hands of an expert luthier. 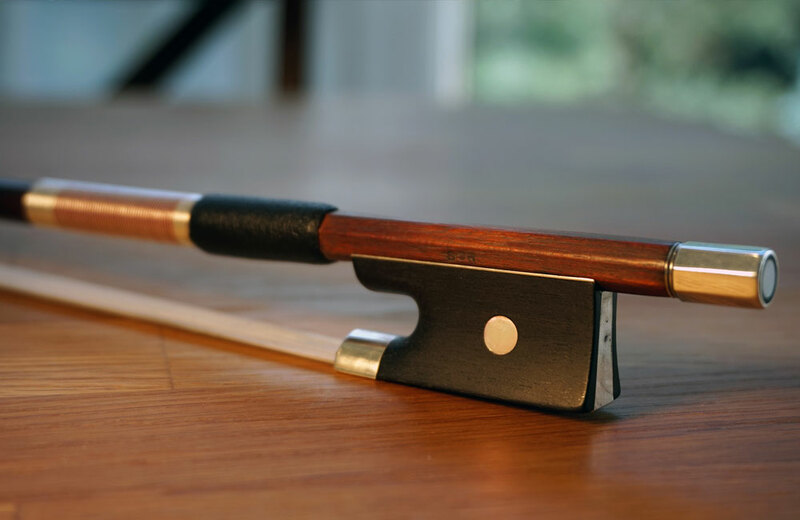 A stringed instrument bow - for violins, violas and cellos - have evolved over centuries and are more complex than they appear. 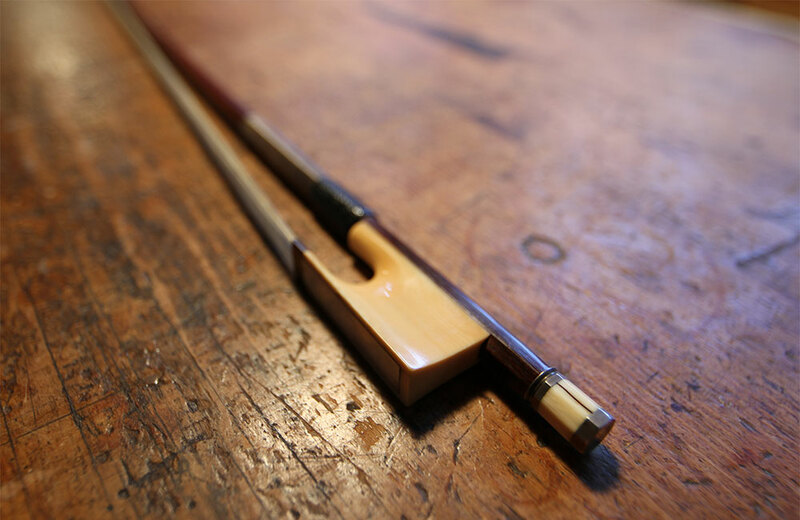 Chinrests on violins and violas are an accessory that have evolved over time. Shapes and styles are a matter of preference, but musicians agree, they make playing easier. 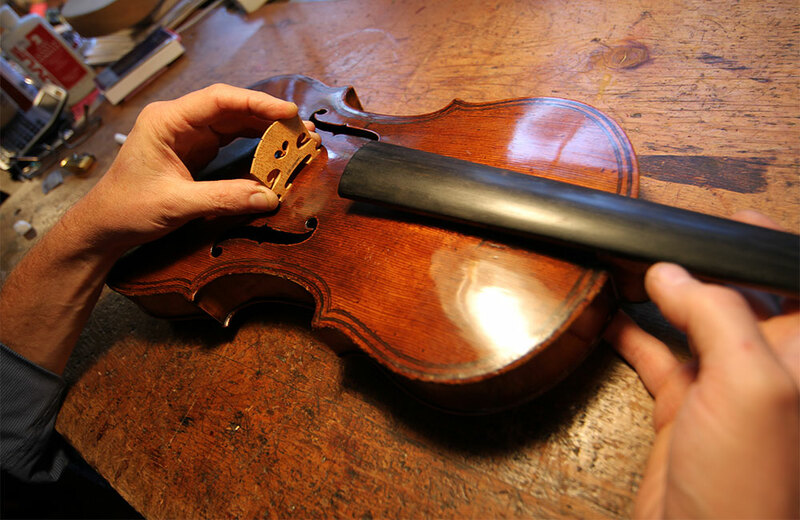 Neck grafts are often needed on older violins, violas and cellos but the repair should be entrusted only to the most experienced of luthiers. 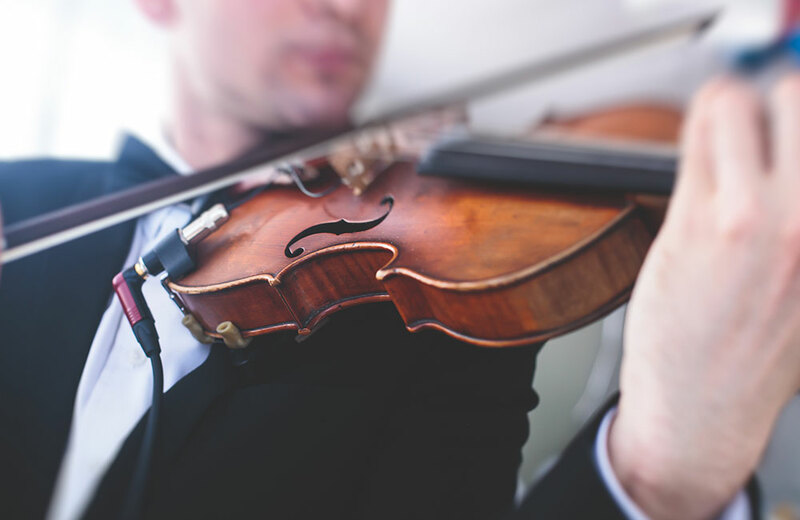 The sound produced by a bowed stringed instrument - violins, violas and cellos - varies greatly depending, in part, on the types of strings used. 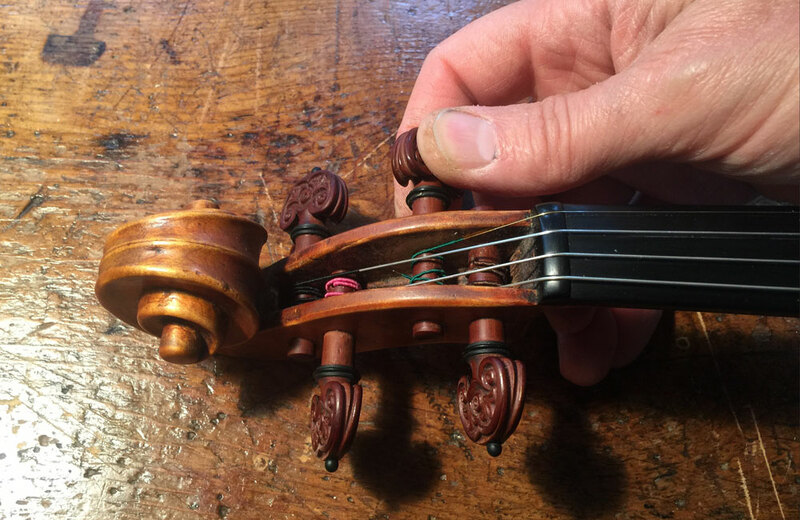 The mortise on a stringed instrument is a lesser-known albeit important part of a violin, viola or cello with a vita function. 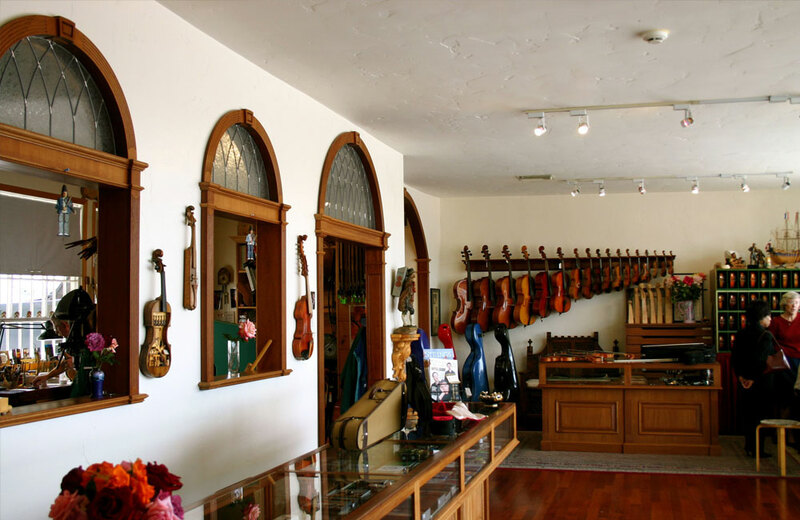 As any string player with an older instrument knows, when the peg holes slip or crack, it's time to visit the local violin shop. 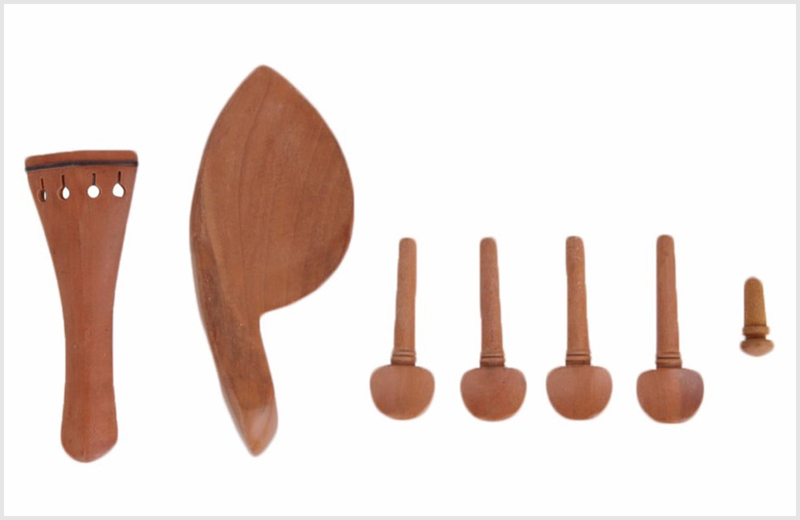 On all stringed instruments – violins, violas and cellos – the container that houses the pegs is called the “peg box”. 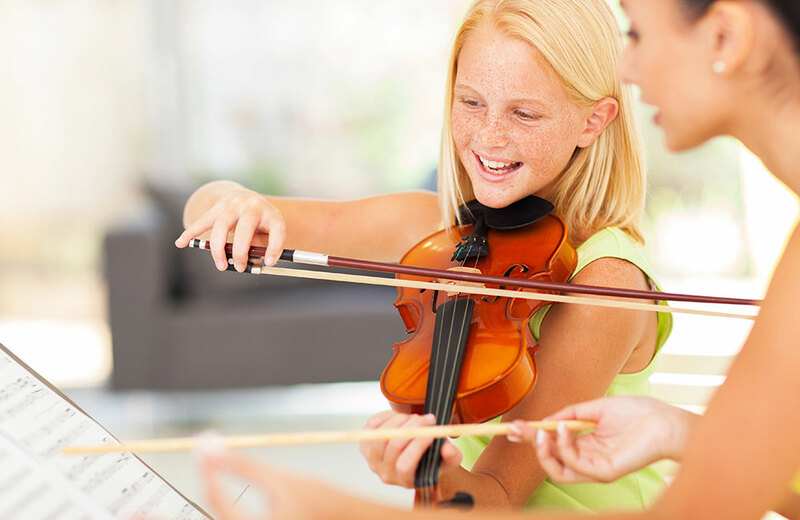 Stringed instruments like violins, violas and cellos, come in many sizes to account for small children to full-sized adult players. 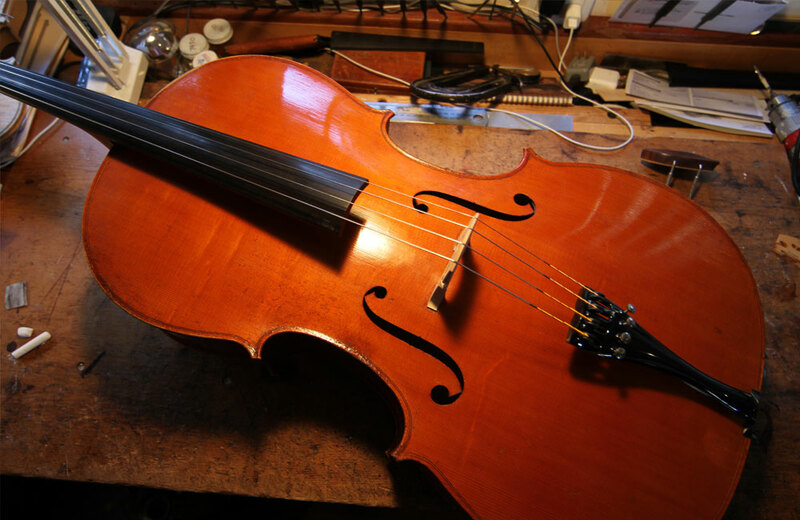 The traditional shape of violins, violas and cellos has less to do with beauty and much to do with science and practicality. 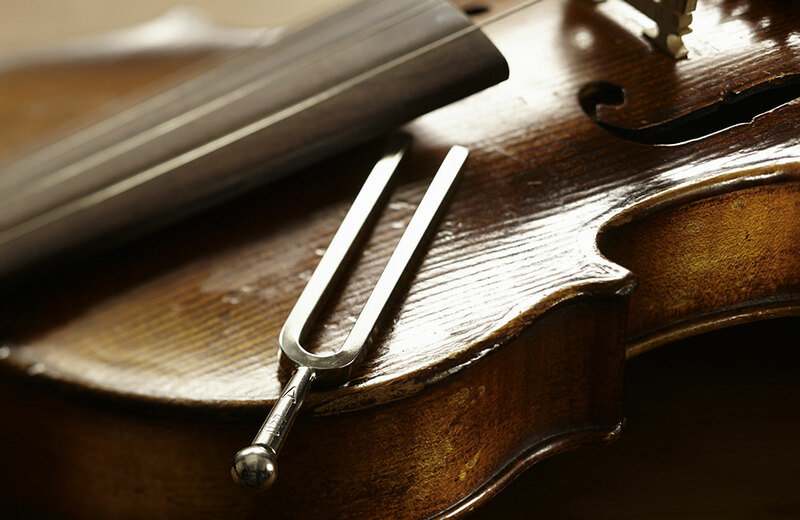 The right bridge - properly positioned and maintained - is essential to the sound and playability of any violin, viola or cello. 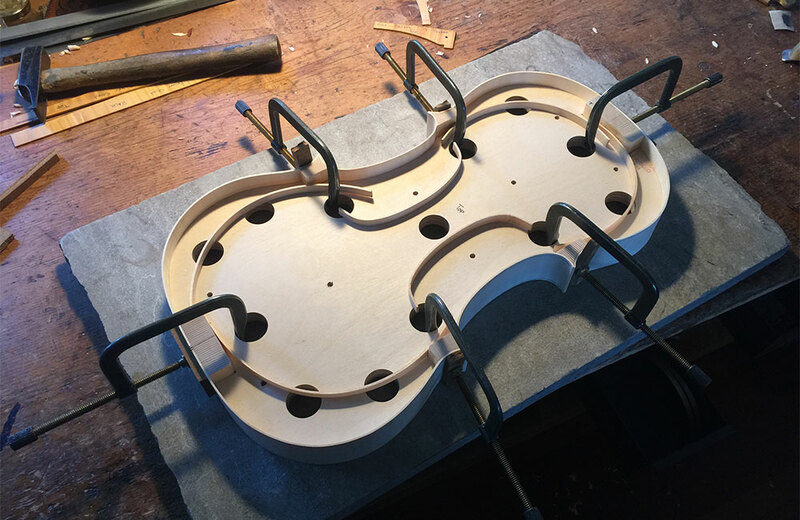 Installation of the bridge on violins, violas and cellos may look simple, but it's an important step best left to a professional violinmaker. 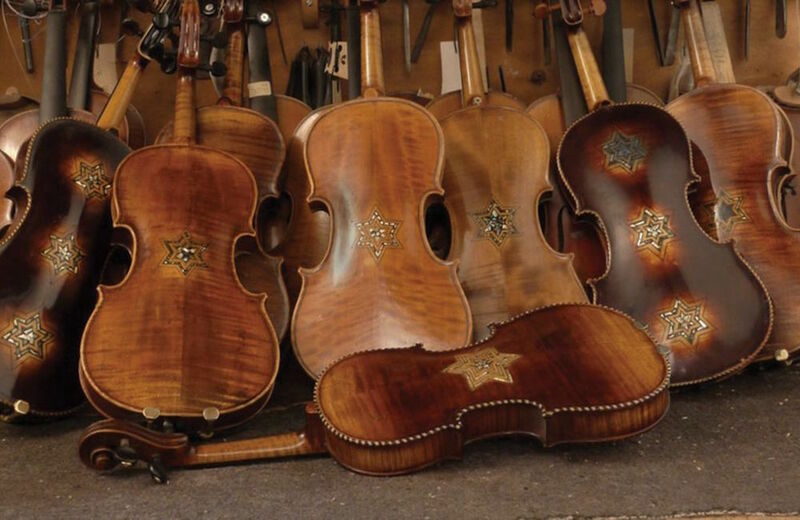 Violinmaking in the modern age has been marked by mass-factory-produced instruments, but there are plenty of fine violins, violas and cellos being hand-crafted by contemporary luthiers. 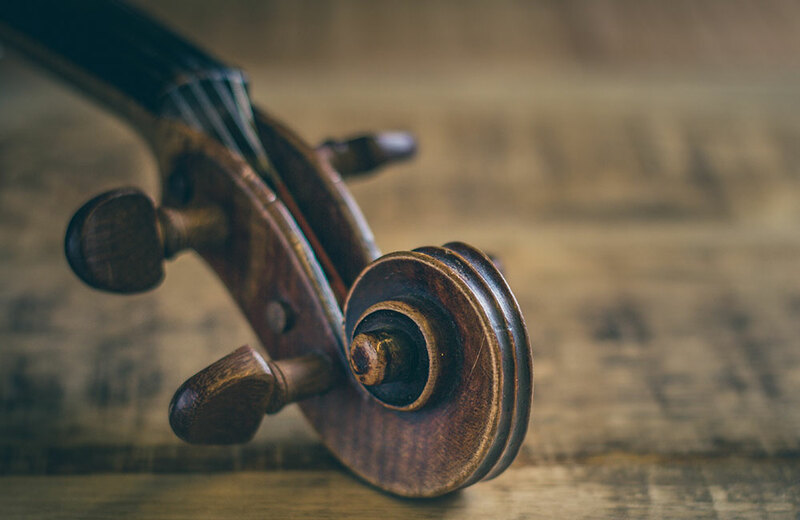 Bowed stringed instruments were crafted in various countries long before instruments we know today as violins, violas and cellos were made in 16th-century Italy. 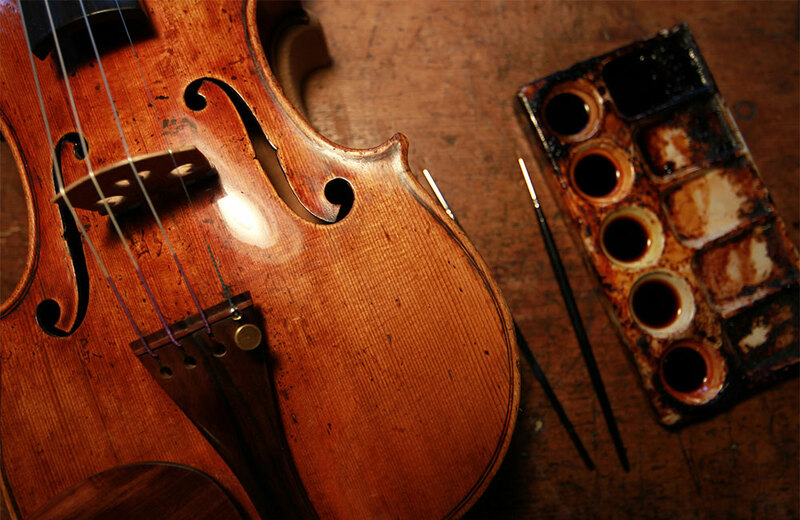 The varnishes applied to violins, violas and cellos do more than make the instrument look good. It makes them sound great, too. 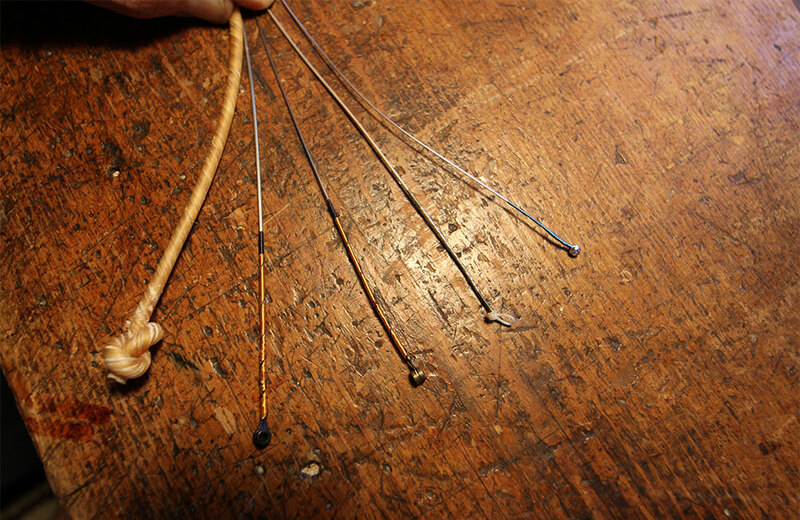 The art of making strings for stringed instruments is as old and fine of a craft as instrument-making. 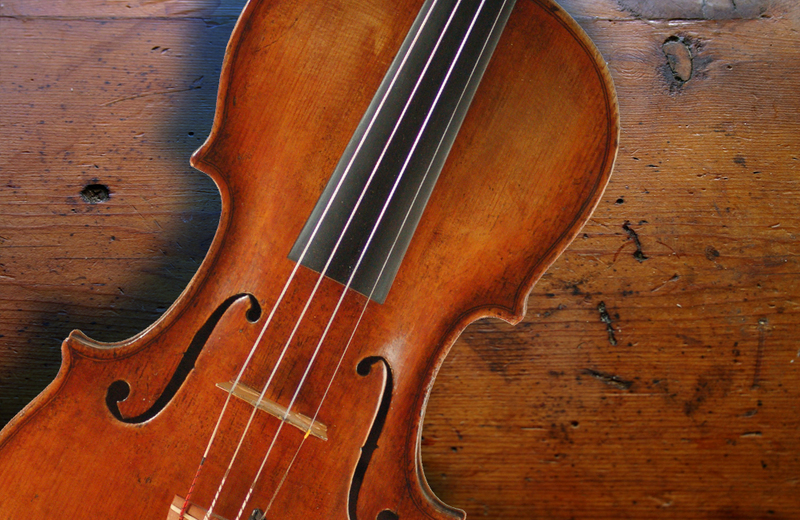 All violins, but especially older, fine violins sound better with fine strings. 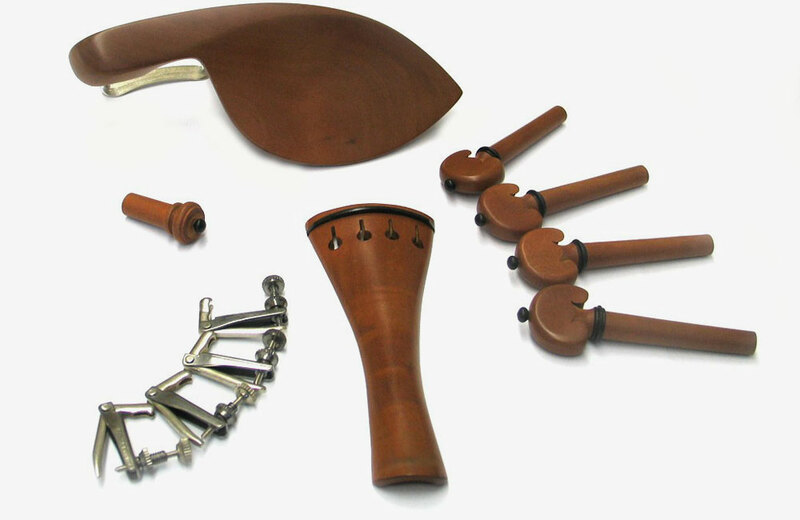 While typically made separately from the violin, viola or cello, fittings are vital and a fine instrument deserves a finely crafted set. 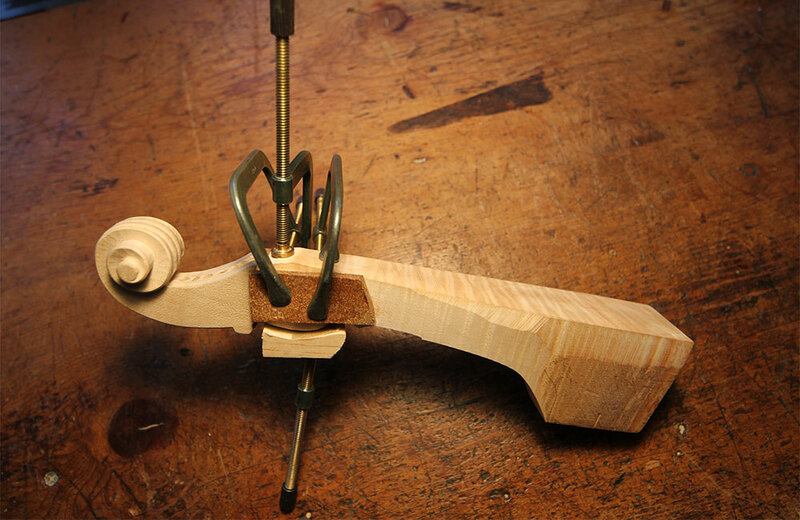 For a violin, viola or cello to be tuned correctly, the peg hole must be cut perfectly to keep friction on the peg. 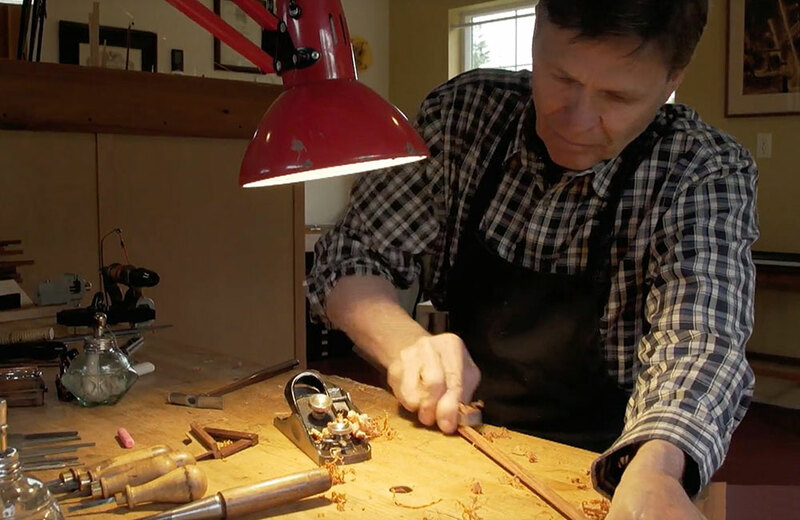 For the violinmaker, the pressure is on. 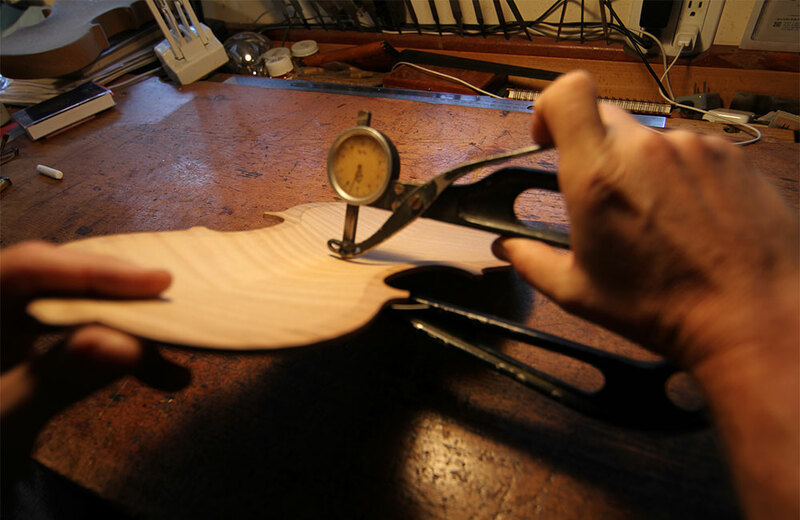 The fingerboards of violins, violas and cellos are the most used surfaces on the instrument. 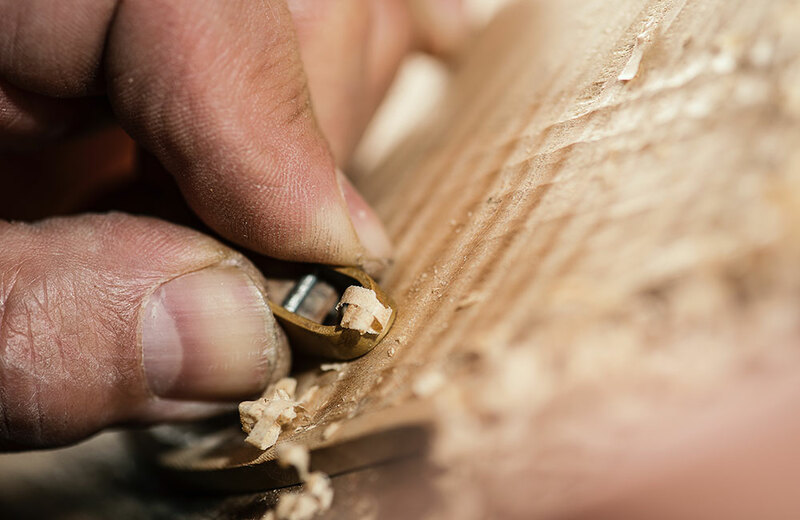 It is necessary for the violinmaker to utilize a wood that is durable and beautiful. 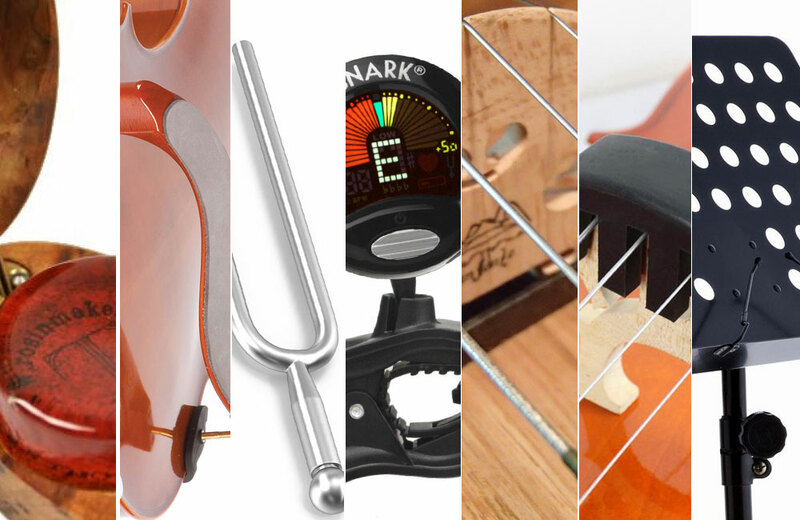 What Is a Composite Instrument? 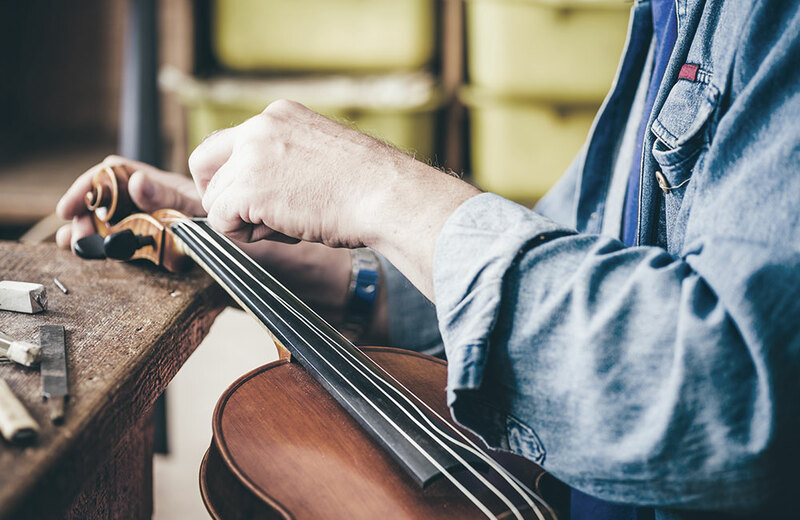 An older, master-crafted instrument with "composite" repairs - where parts have been replaced - can be an affordable option for players investing in a fine violin, viola or cello. 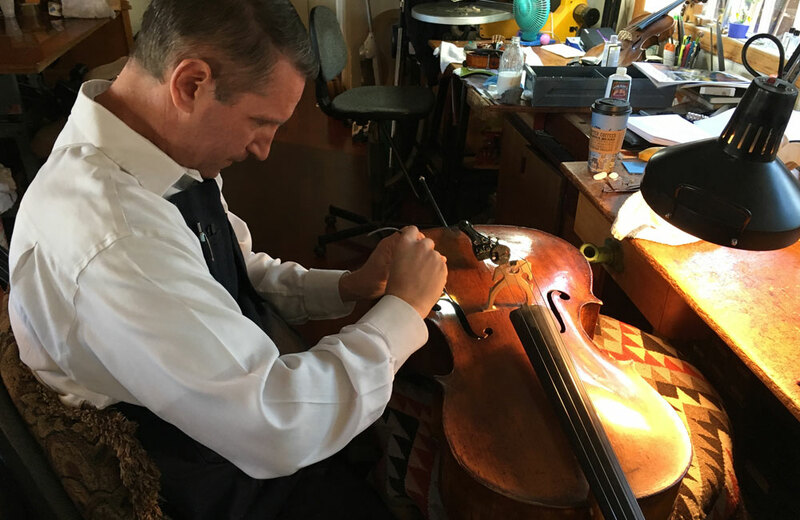 The two-dimensional vibration of "Chladni patterns" are one way modern science has assisted violin makers in the ancient art of crafting fine violins, violas and cellos. 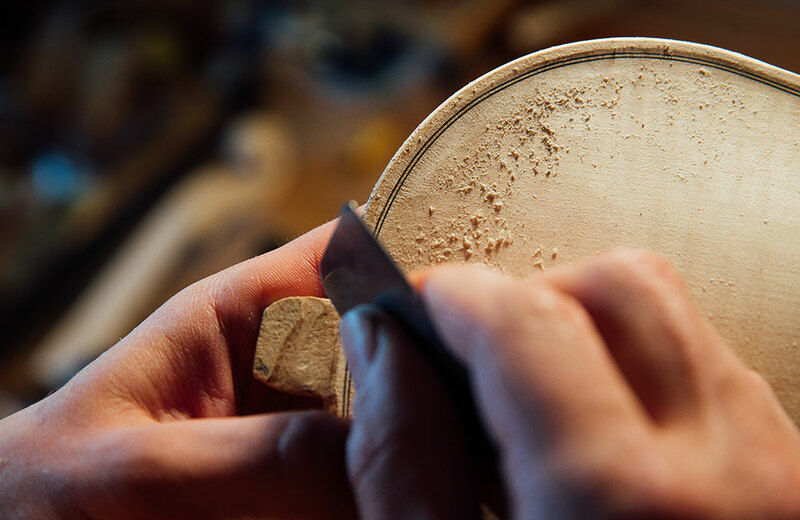 To craft fine violins, violas and cellos, violinmakers require hard, strong and dense wood. Maple, Spruce and Ebony do the trick. 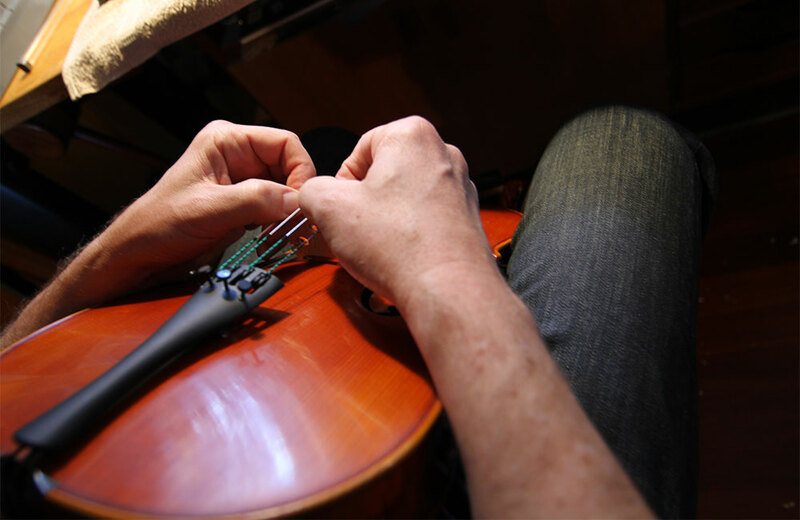 When it comes to crafting or repairing a fine violin, viola or cello, not any glue will do. Just don't expect to get it at a hobby store. 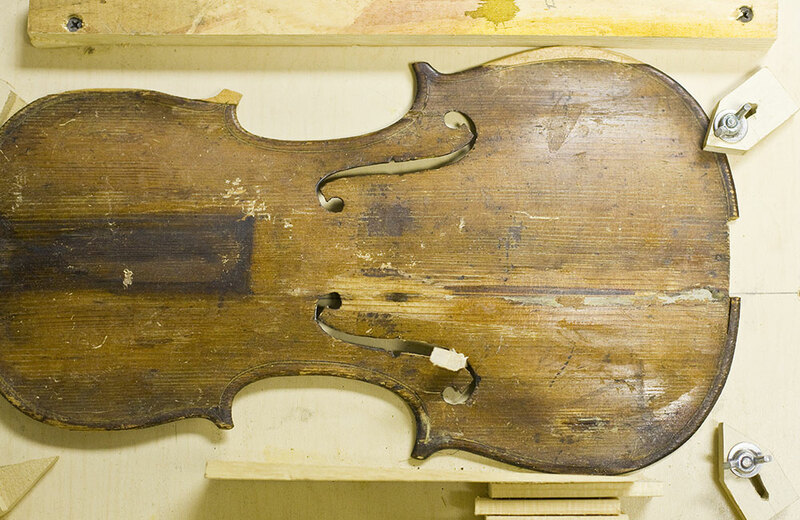 Should You Refinish a Fine Stringed Instrument for Color? 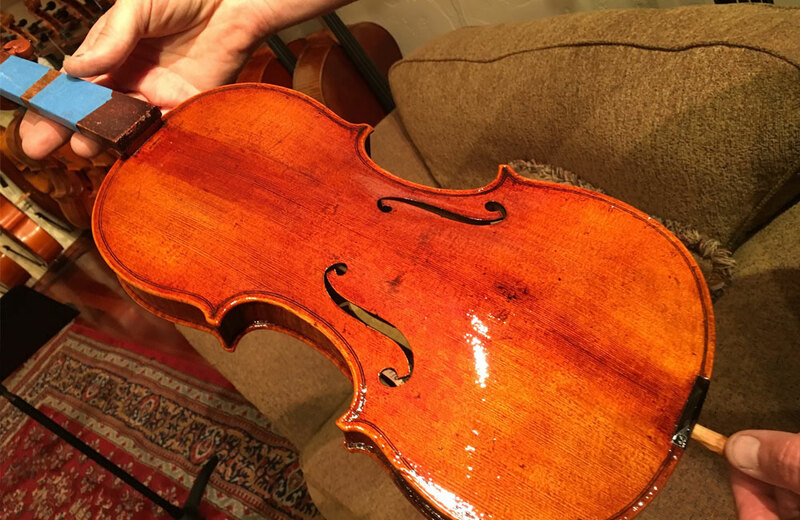 Should a Desire for Color Change Warrant Refinishing a Fine Violin? 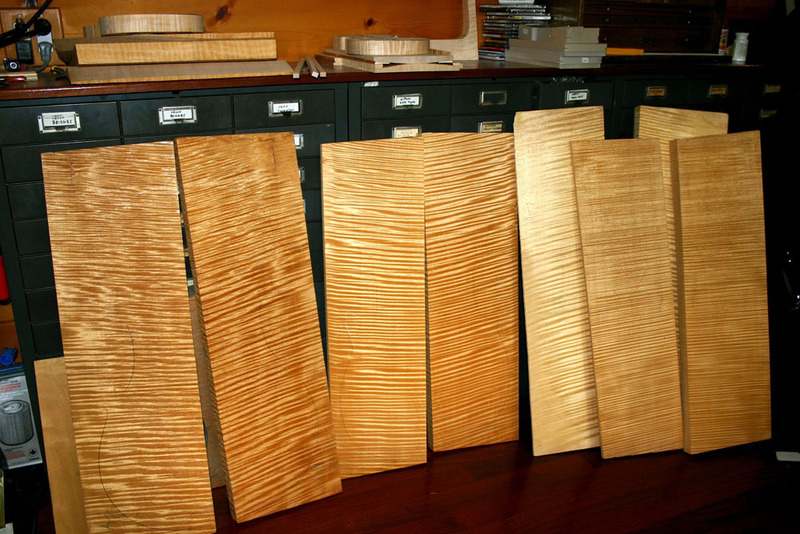 The finish on antique and modern fine stringed instruments is applied painstakingly for reasons of acoustics. 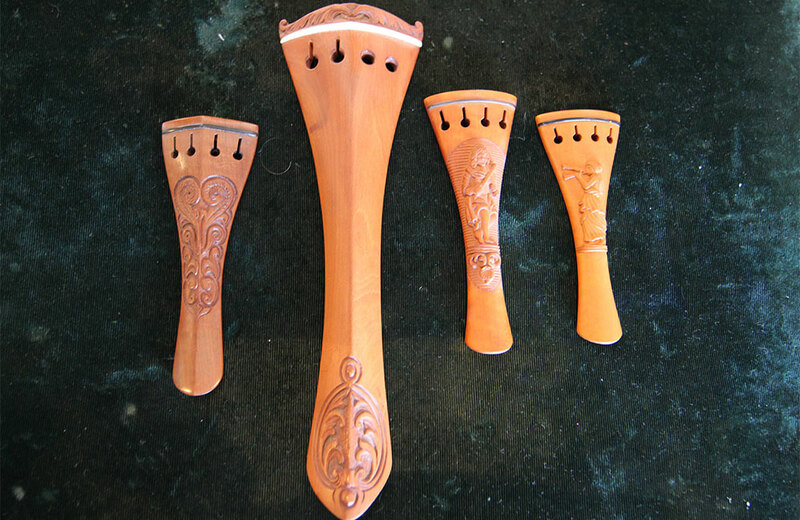 Refinishing an instrument for aesthetics is not recommended. 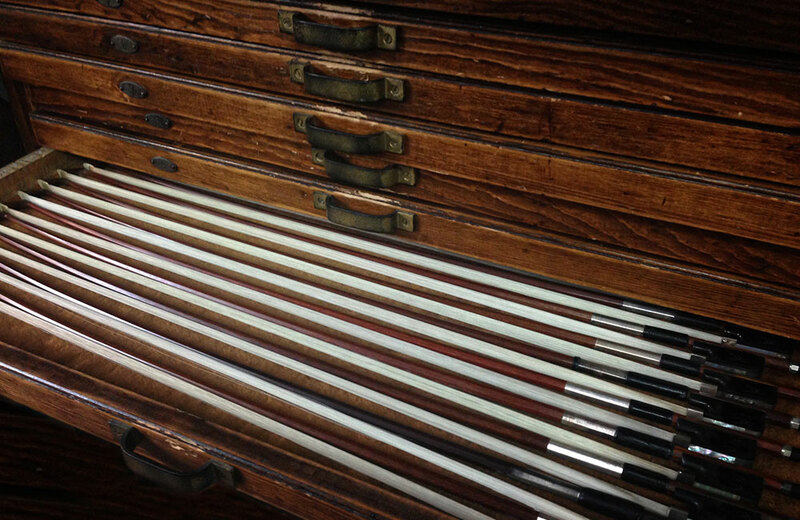 What Do You Do if You “Find a Strad”? 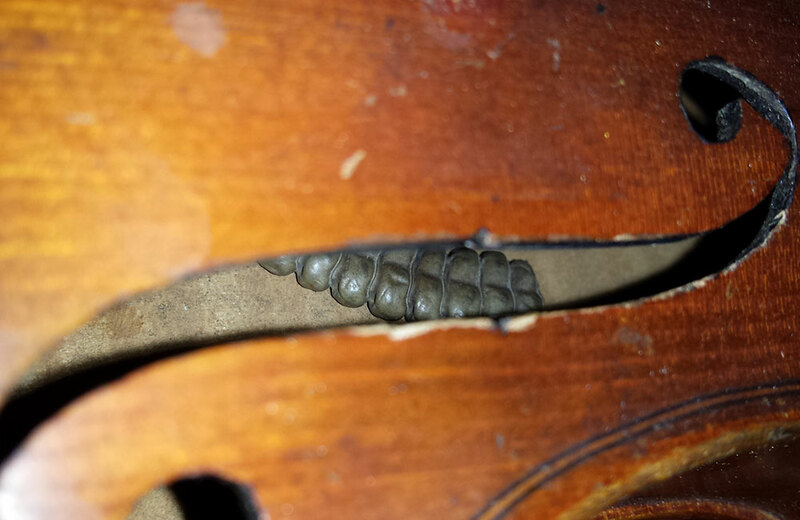 A Stradivarius Violin in Your Attic? How to Know. It would be a great shock to the world of fine stringed instruments if a lost violin from a great Italian luthier turned up. Many imitations were made 100 years ago. 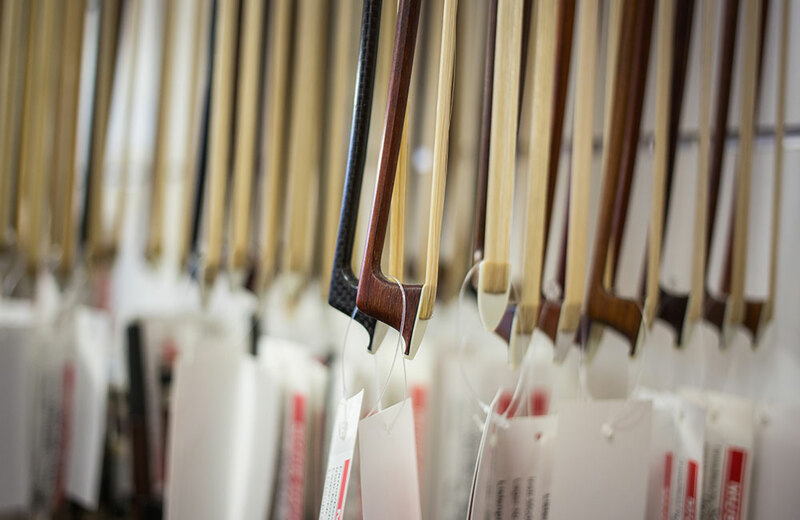 Violin Shops Have Key Features to Look For When Choosing The purchase of a violin at any price level is a critical moment. Whether a student or principal concert violinist, how and where you buy the instrument is important. 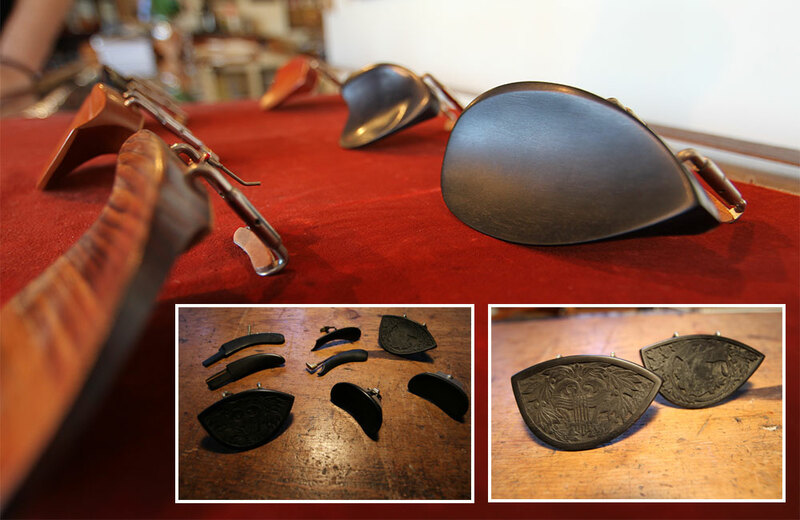 Violin Students Upgrading to a Finer Violin Need to Know How and When The moment for students of any stringed instrument to upgrade to a finer violin, cello or viola is an exciting juncture. But to do it right takes caution and study. 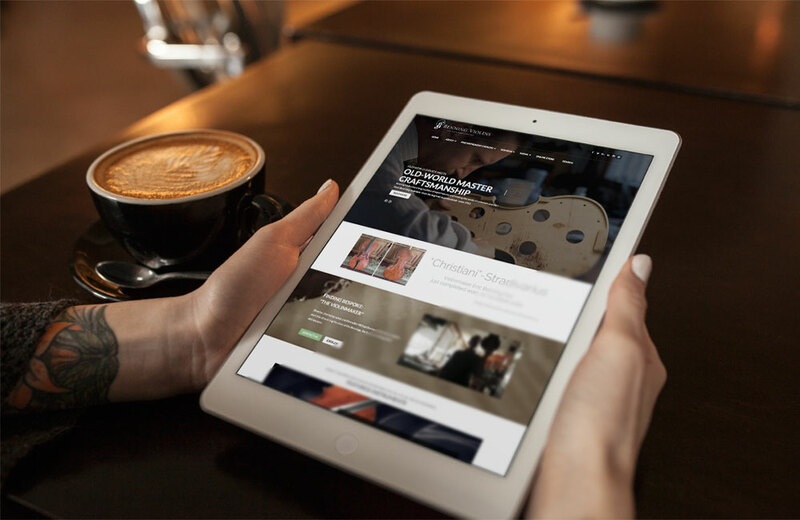 Before Buying a Fine Violin Online, Know About the Shop Selling It Buying a fine stringed instrument can rarely be done online. 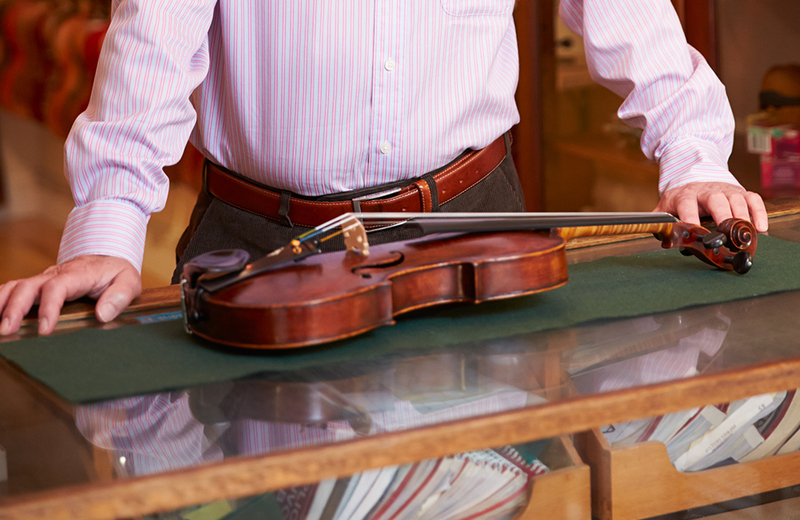 Even with a fine and high-value instrument, establishing a long-term relationship with the seller matters. 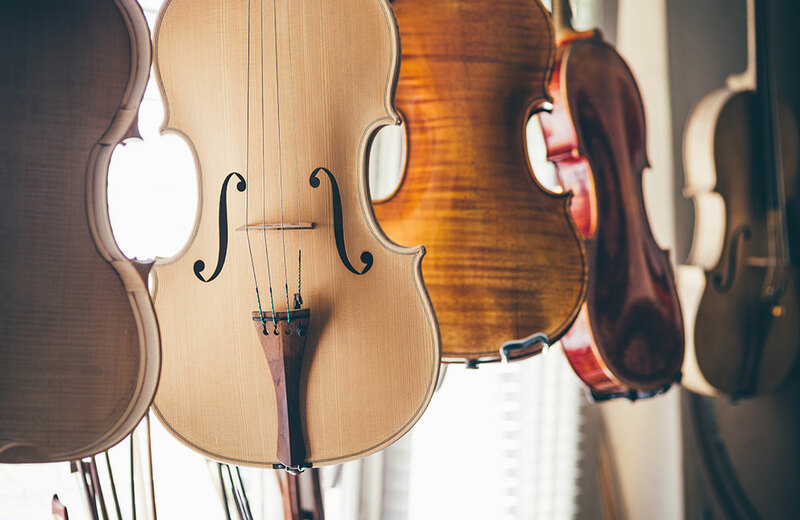 Purchasing Violins from Individual Sellers Online is Probably a Mistake Even affordable student violins come in a wide range of quality and playability. 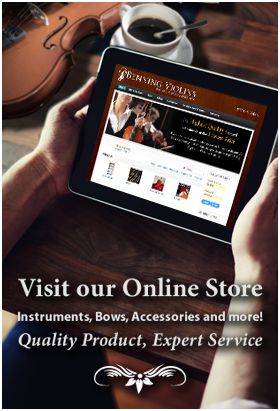 Anyone purchasing a violin will get better service with an established retailer.